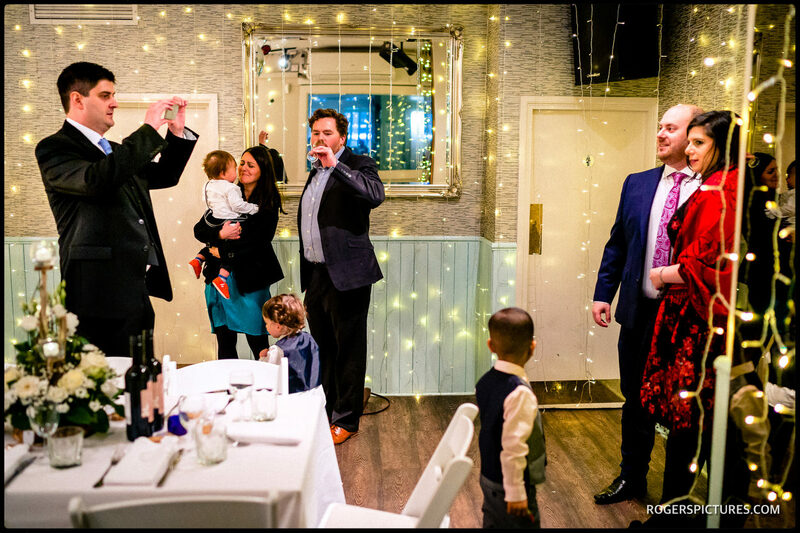 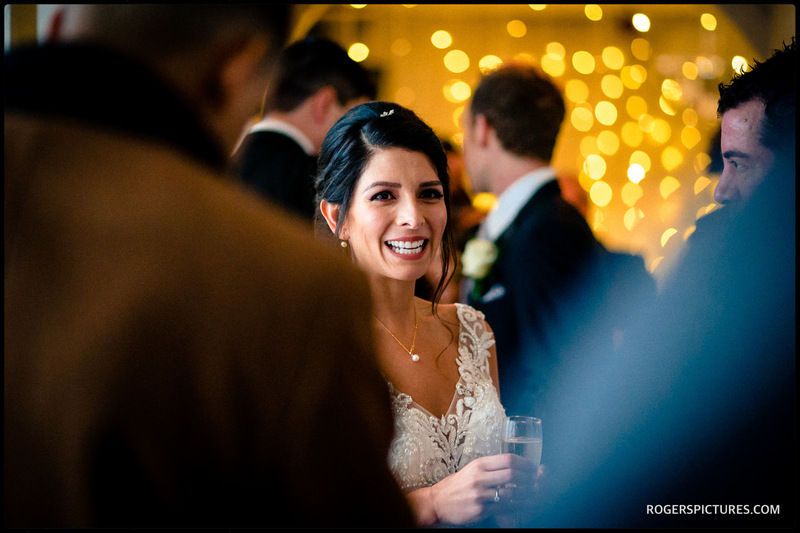 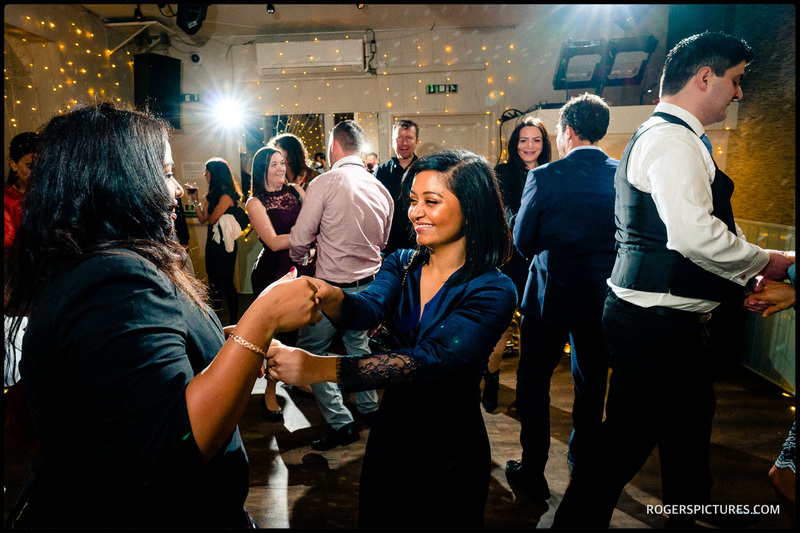 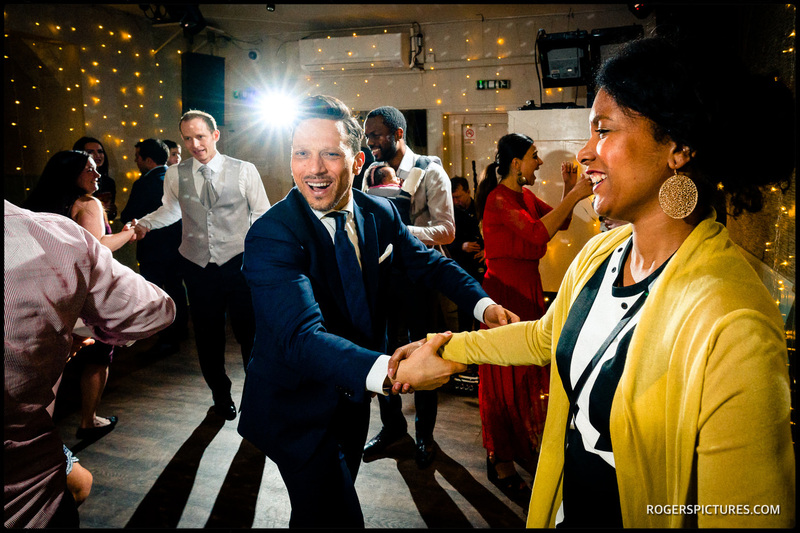 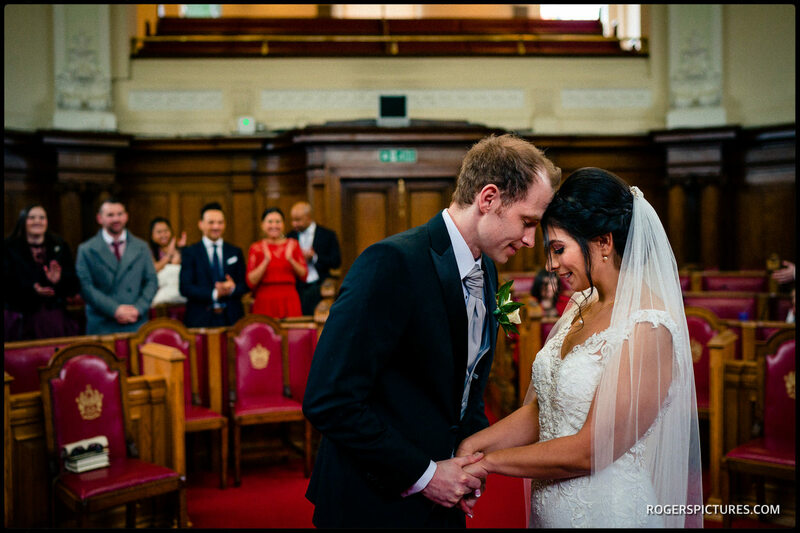 Sara contacted me through my Facebook Wedding Photography Page to check my availability for her North London Wedding Photography last year. 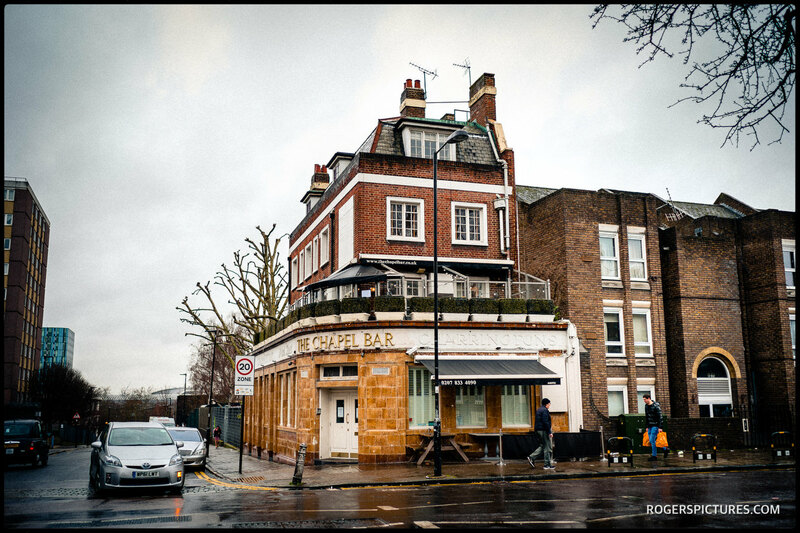 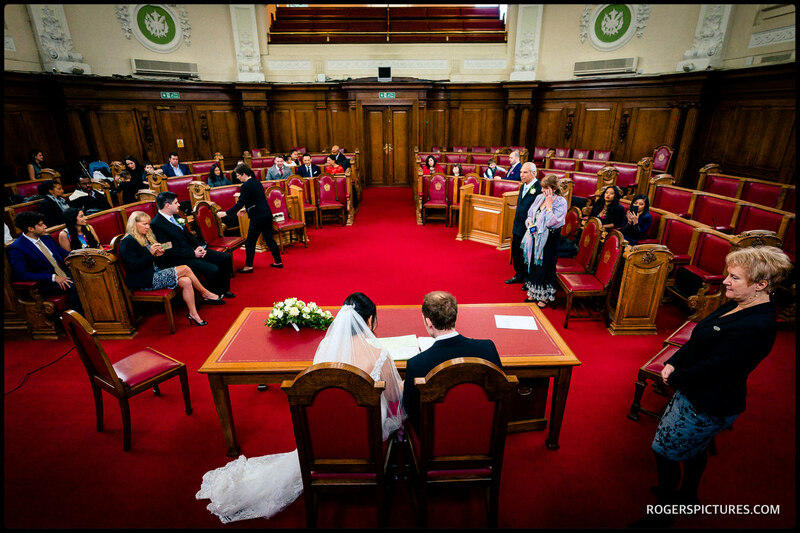 Thankfully I had availability, and the plans were set for her ceremony at Islington Town Hall early this year. 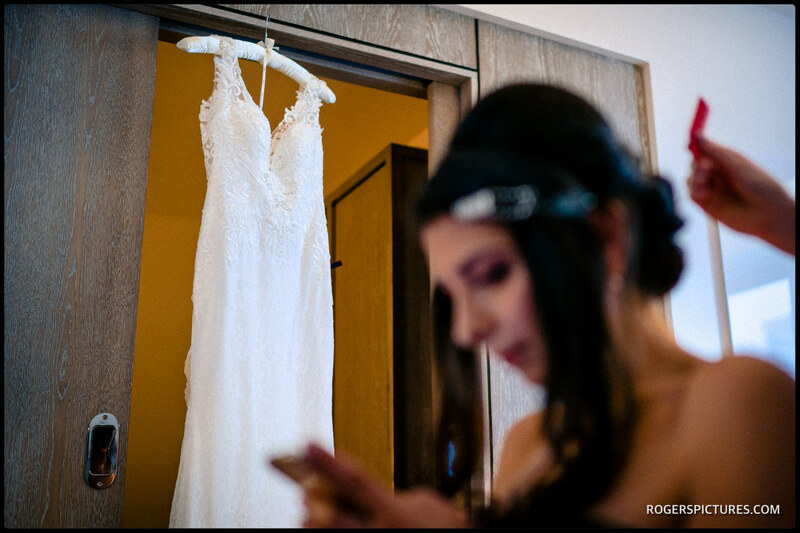 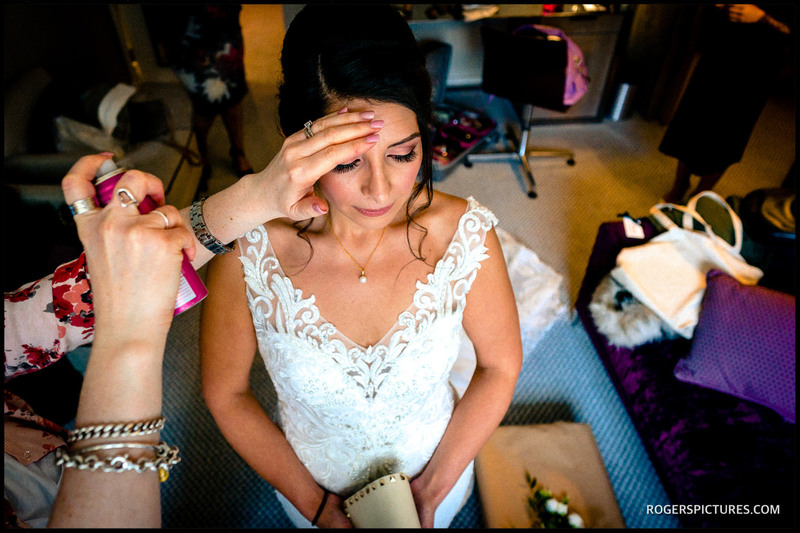 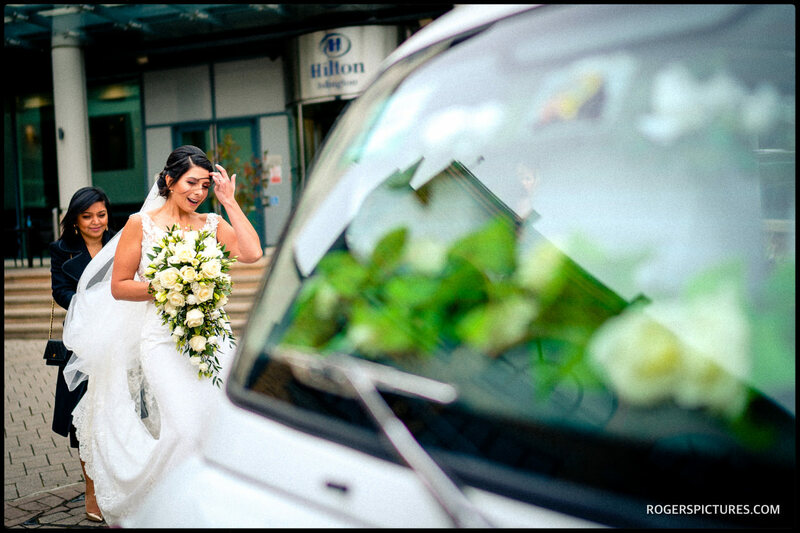 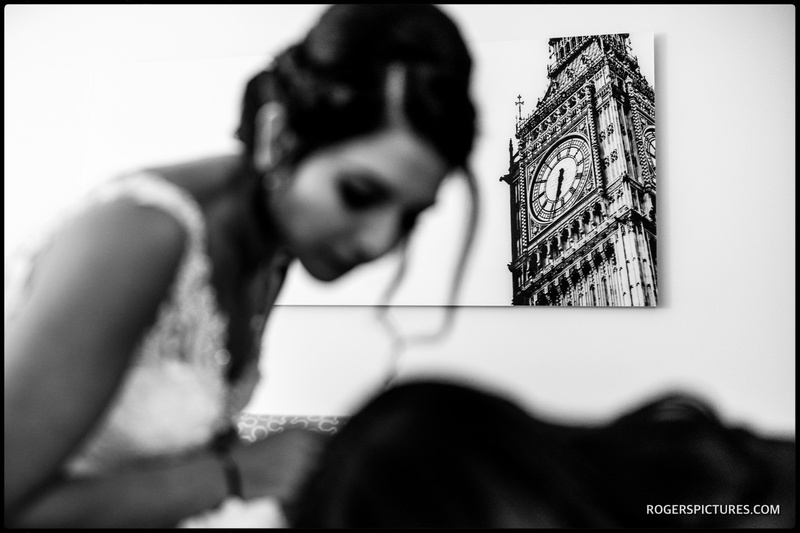 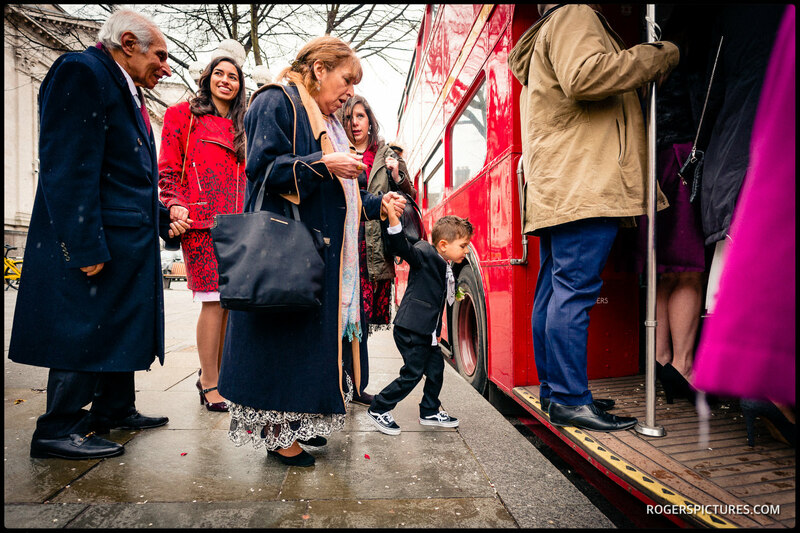 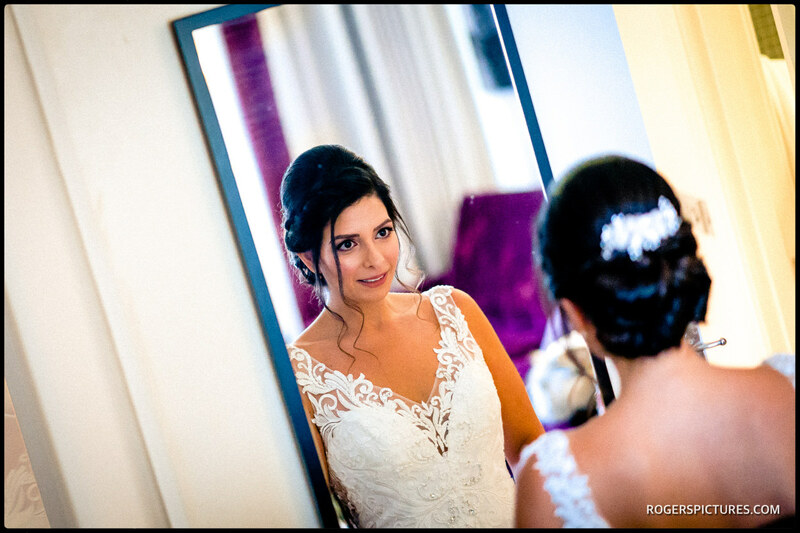 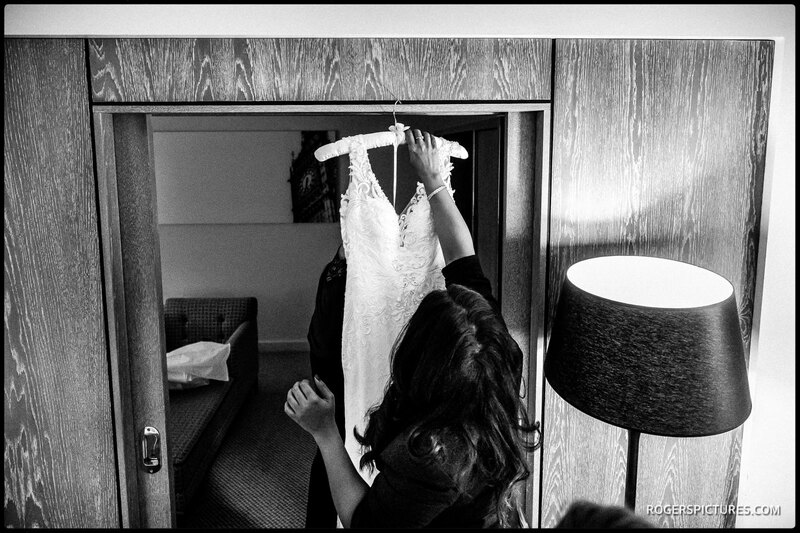 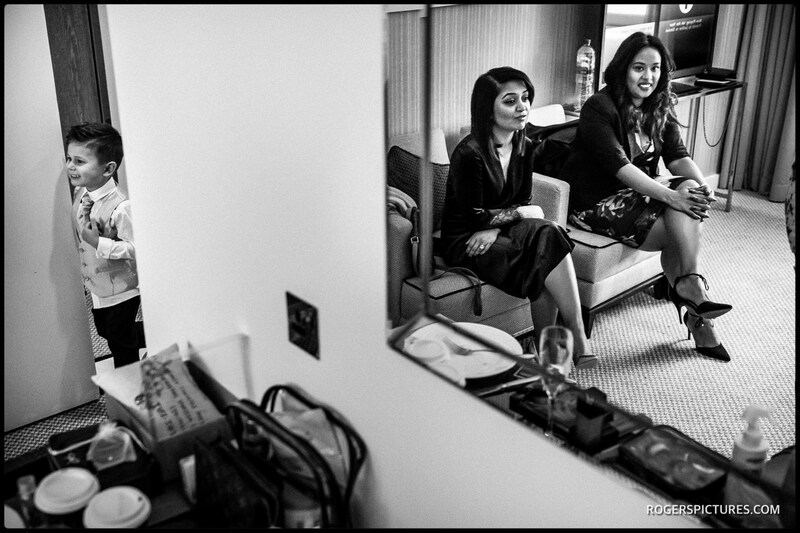 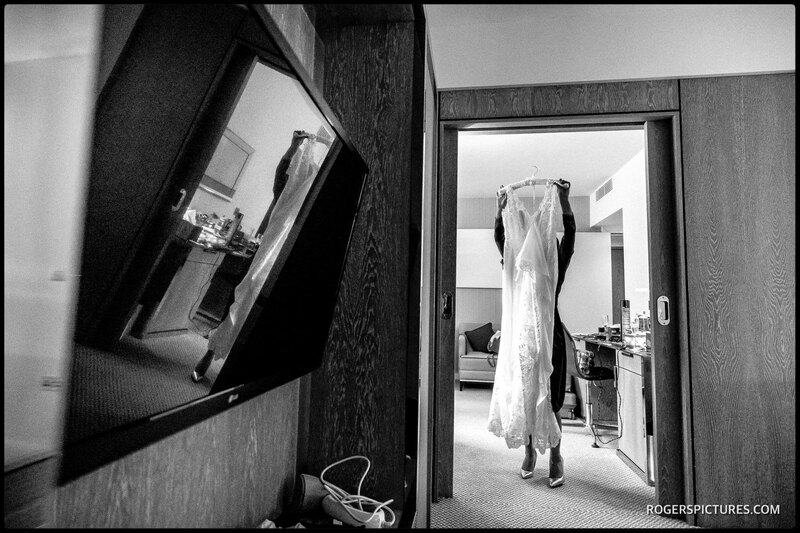 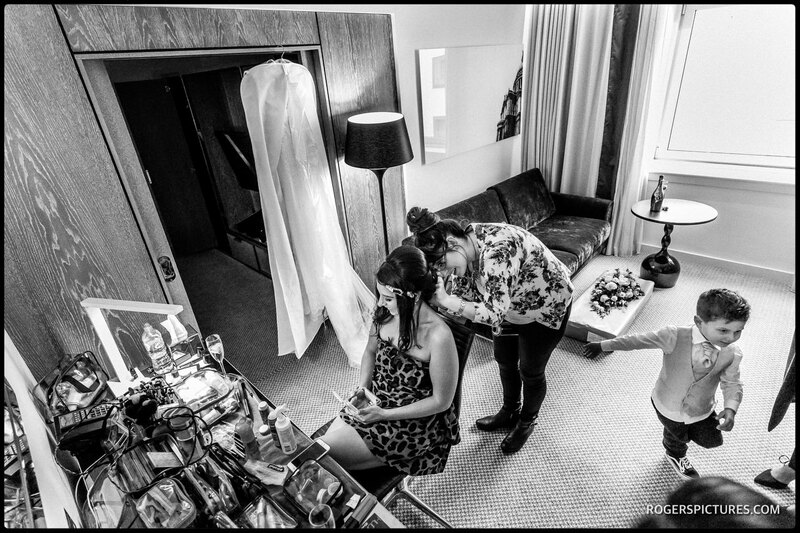 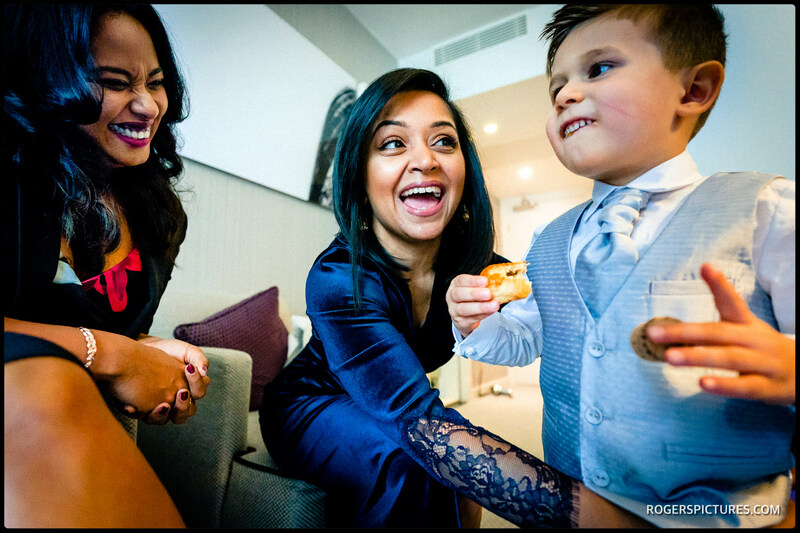 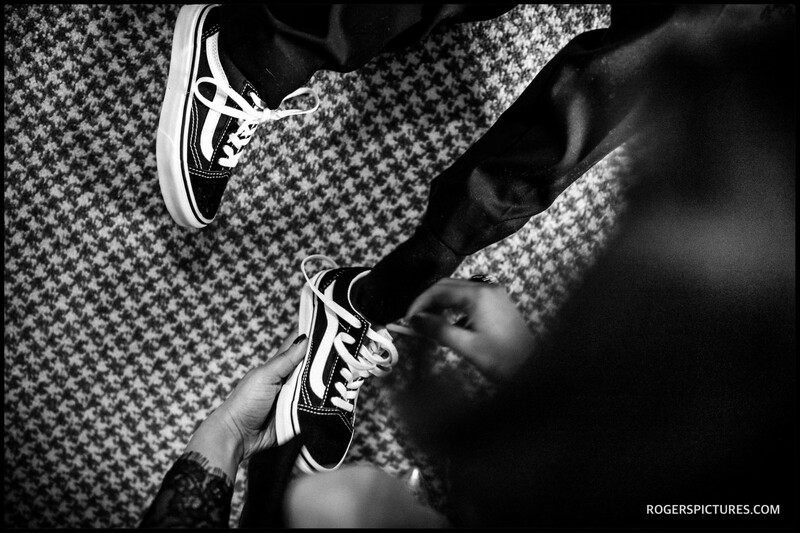 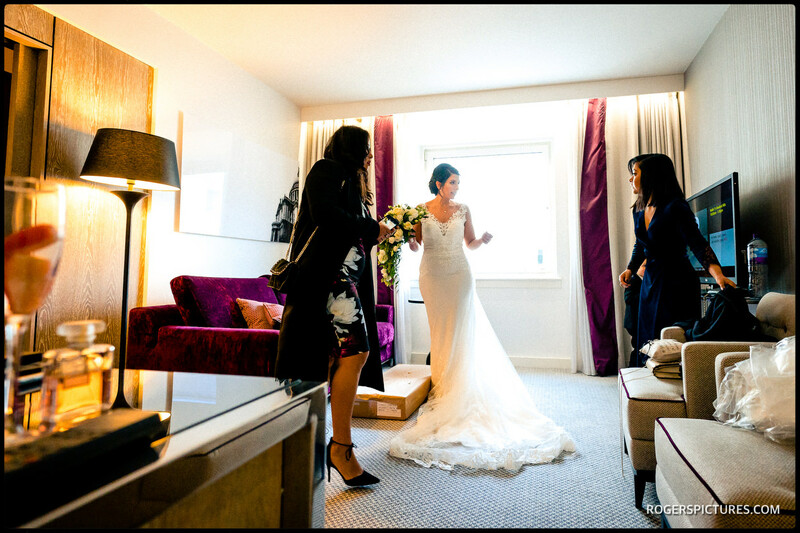 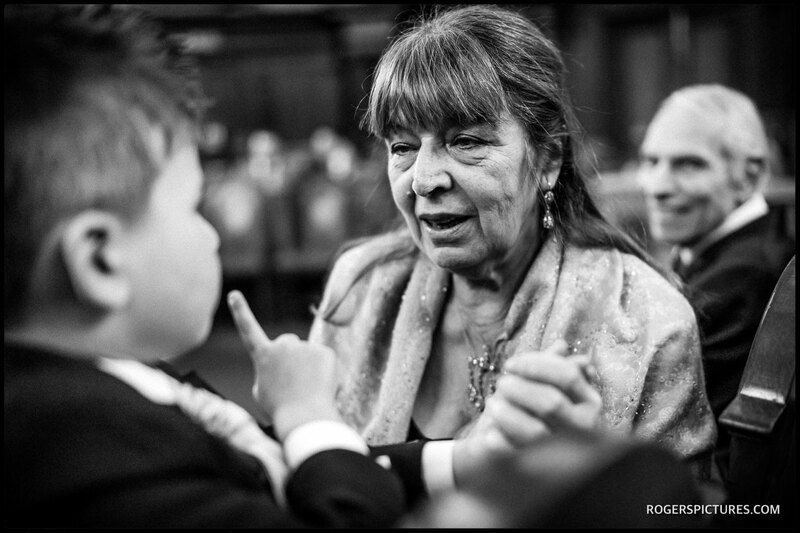 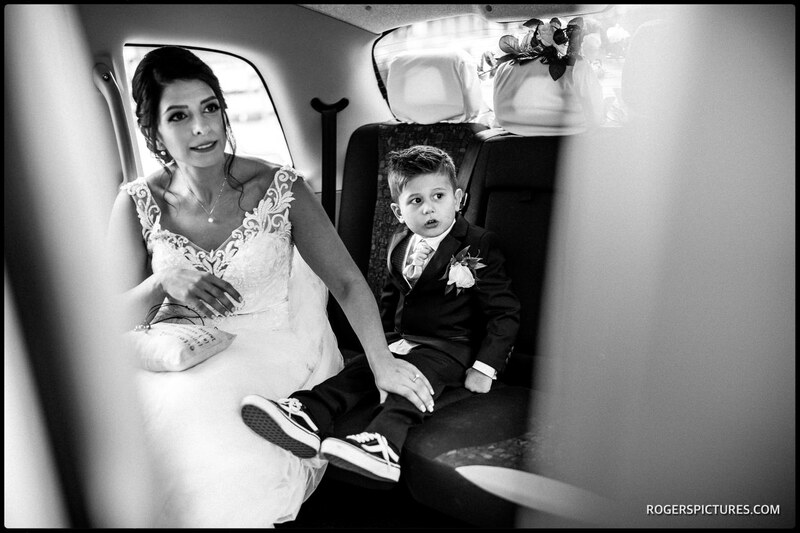 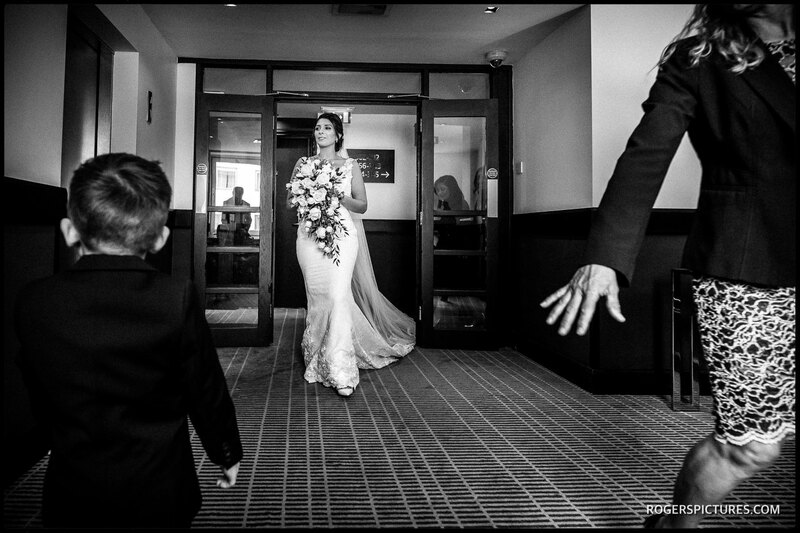 Before the ceremony, I caught up with Sara and her son at the Hilton in Islington to capture the final preparations before they both headed over to Islington Town Hall in a London wedding taxi. 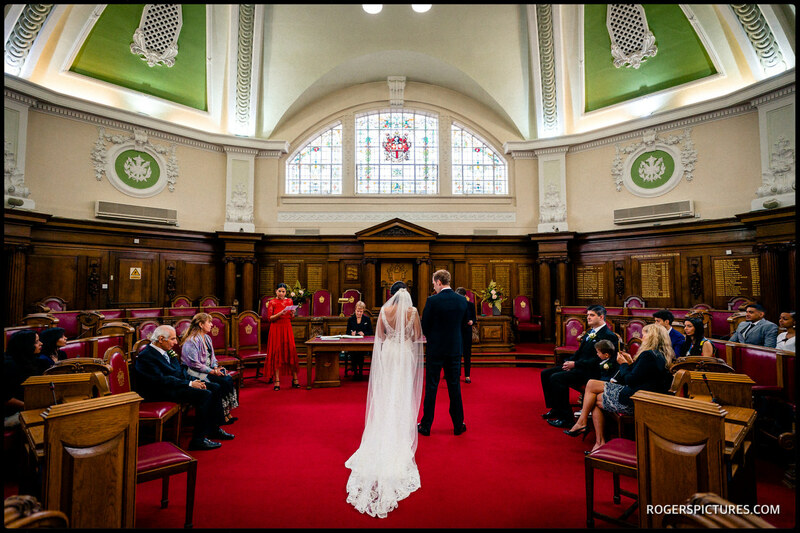 The ceremony in the Council Chamber at Islington Town Hall was lovely, and involved their son with Chris saying his vows to him before presenting him with a ring of his own. 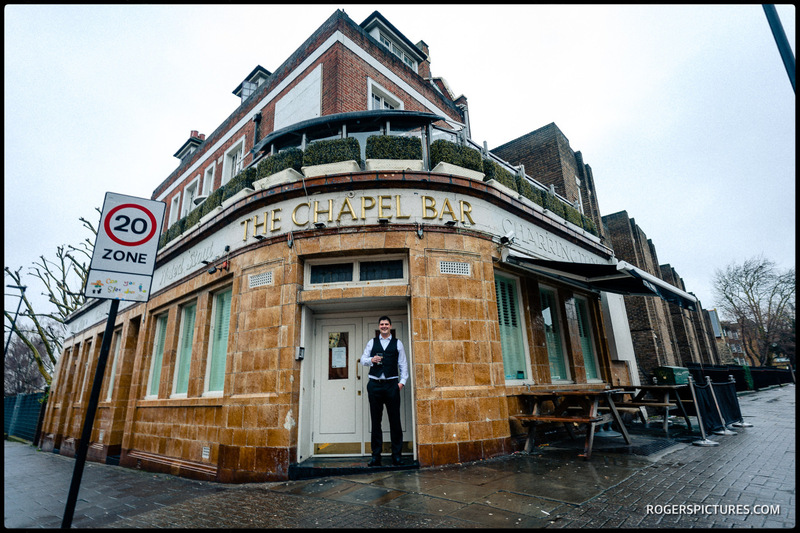 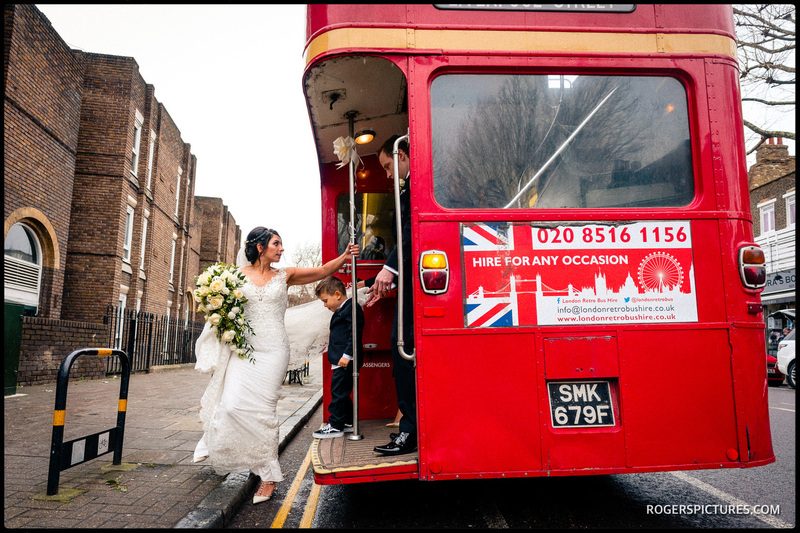 Following that we all boarded a double decker red bus to take us over to The Chapel Bar in nearby Penton Street where the staff were on hand to help the wedding guests celebrate with the newly-weds. 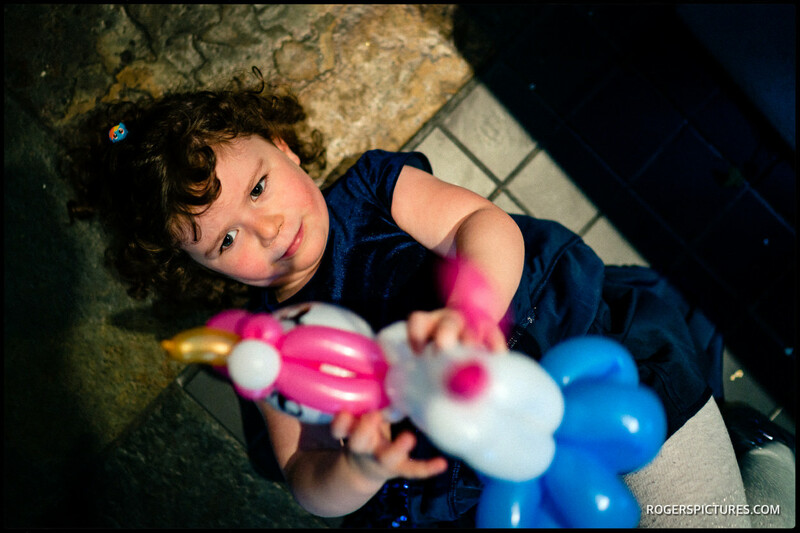 There were quite a few other children present, so the fabulous balloon artist went down a treat with some truly original models made. 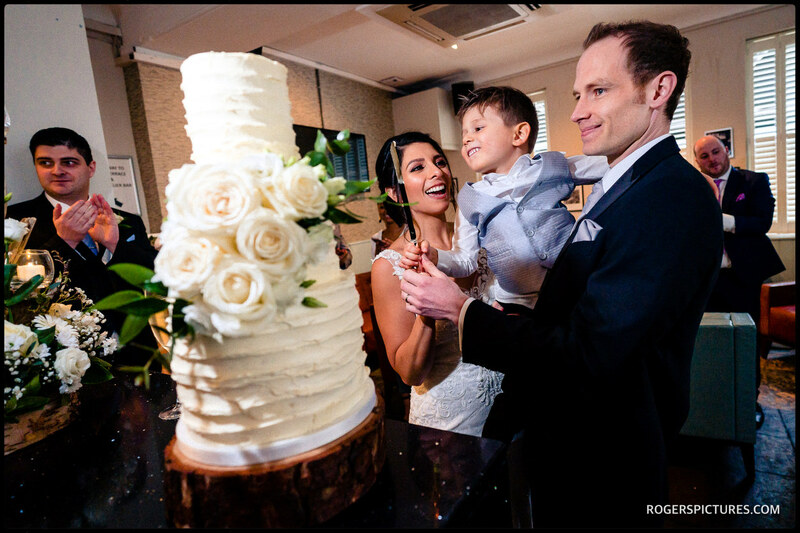 After the wedding breakfast, Sara and Chris were helped by their son to cut the wedding cake before the First Dance. 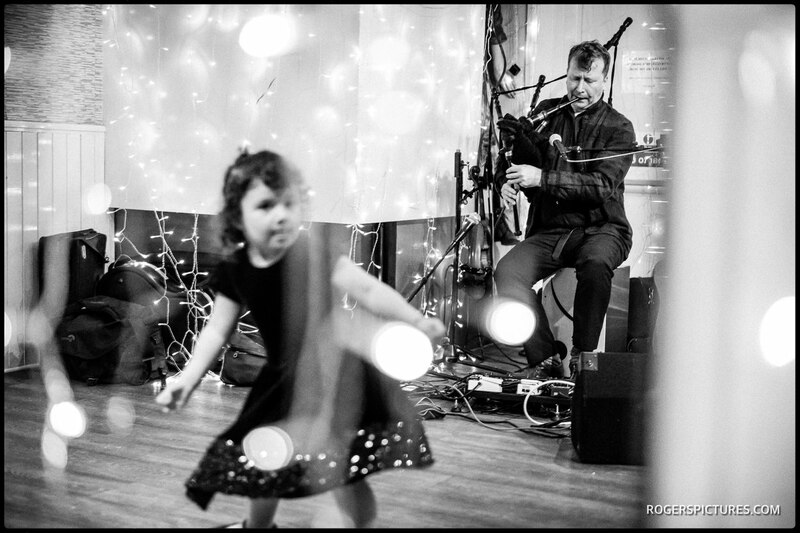 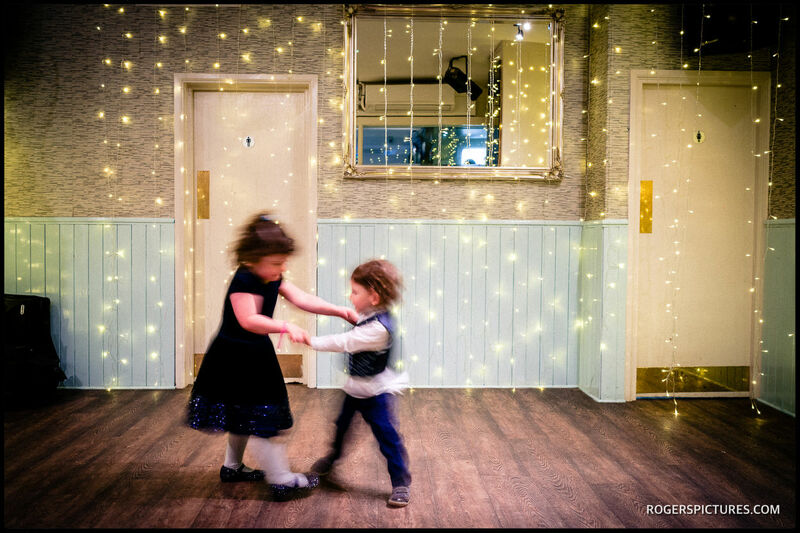 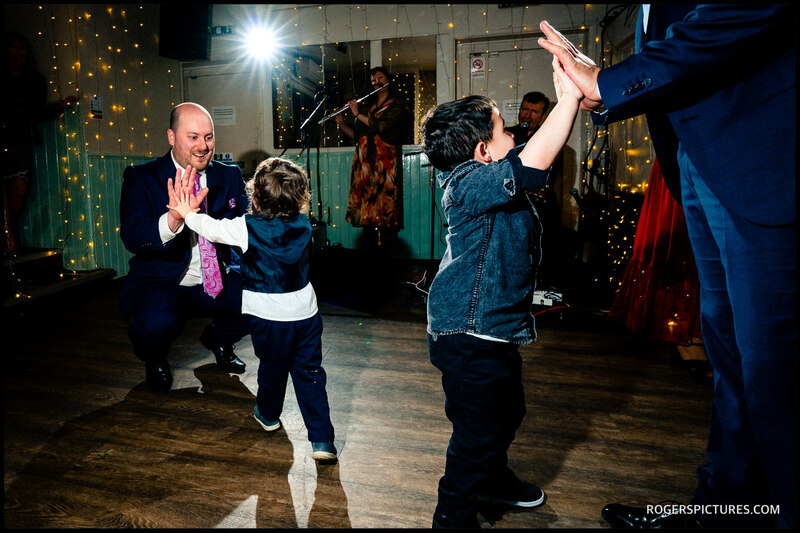 Dancing Feet then got everyone moving to join in a Ceilidh, enjoyed by the children and their parents too. 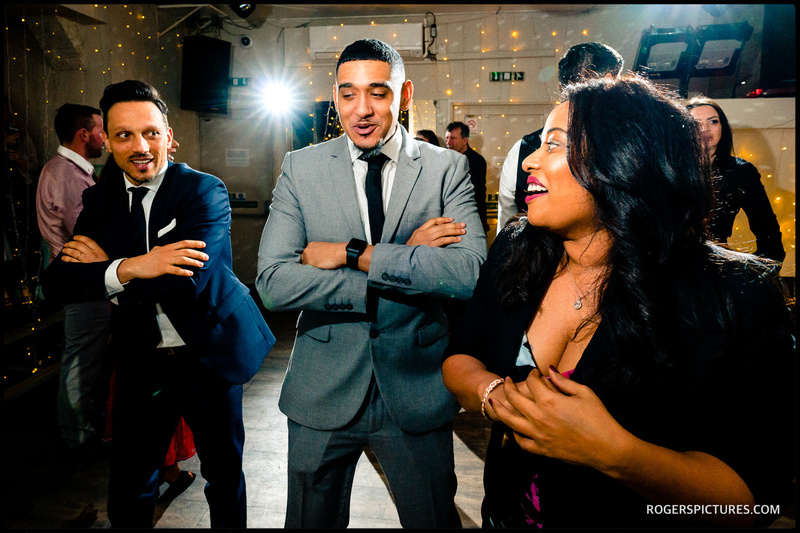 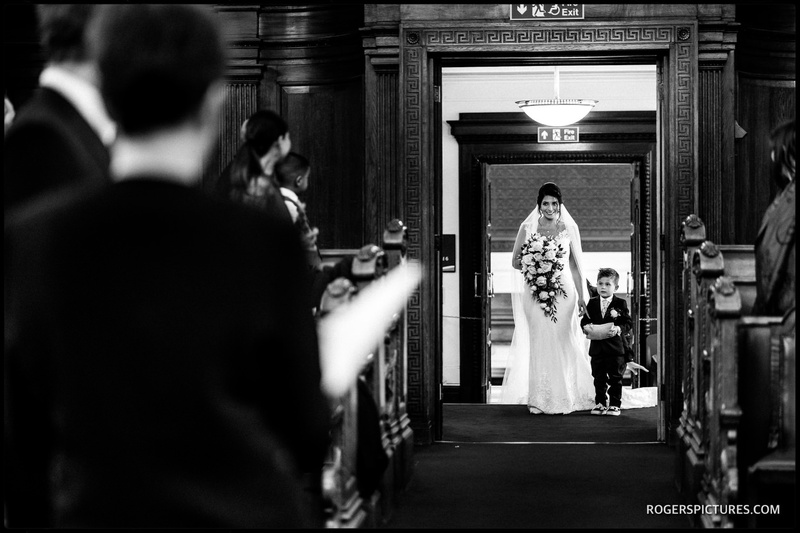 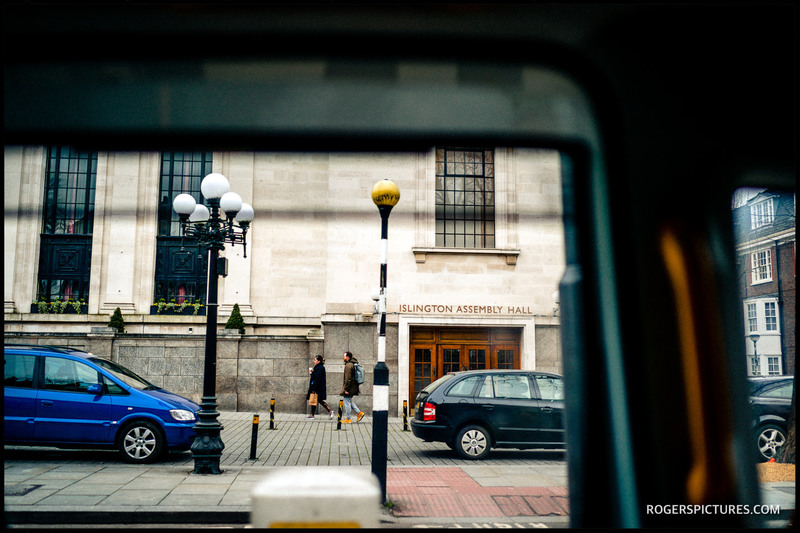 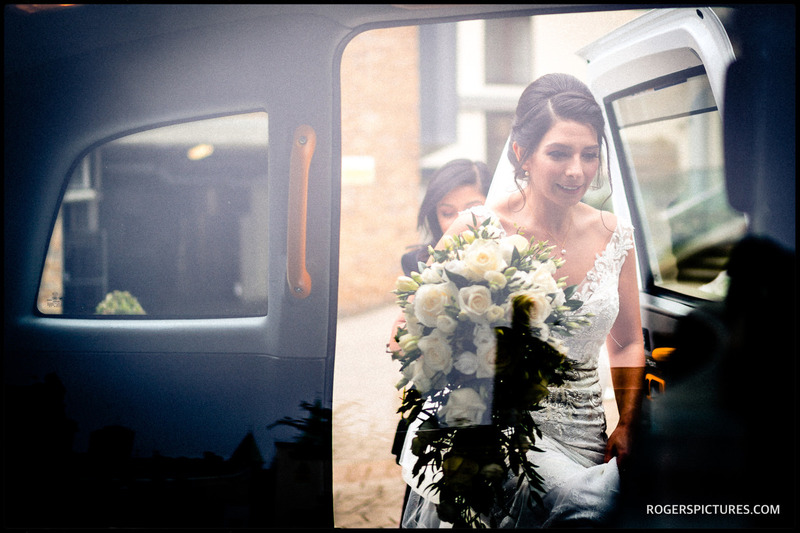 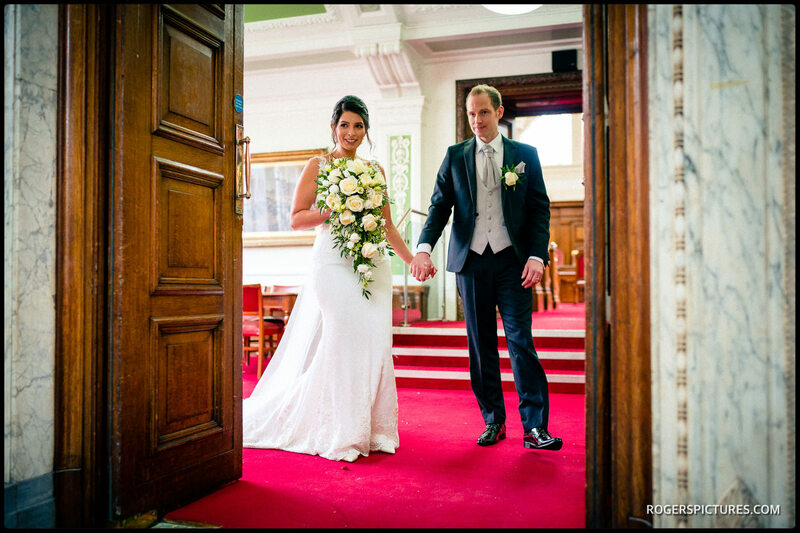 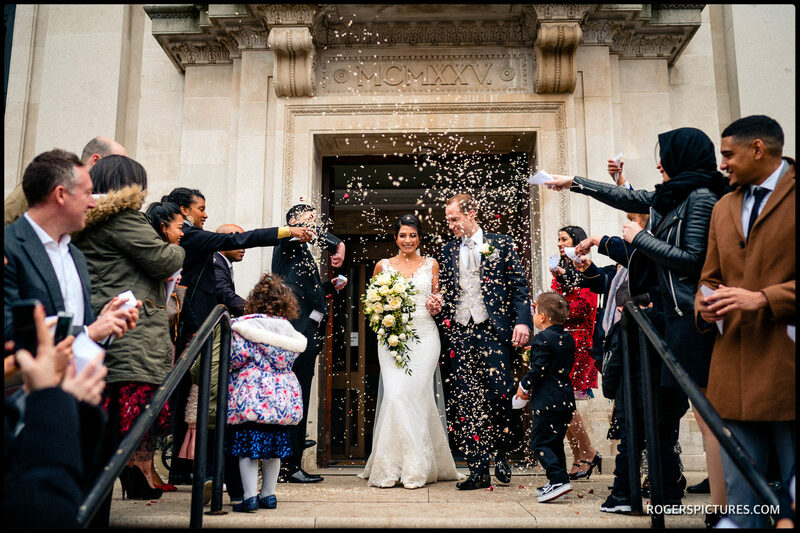 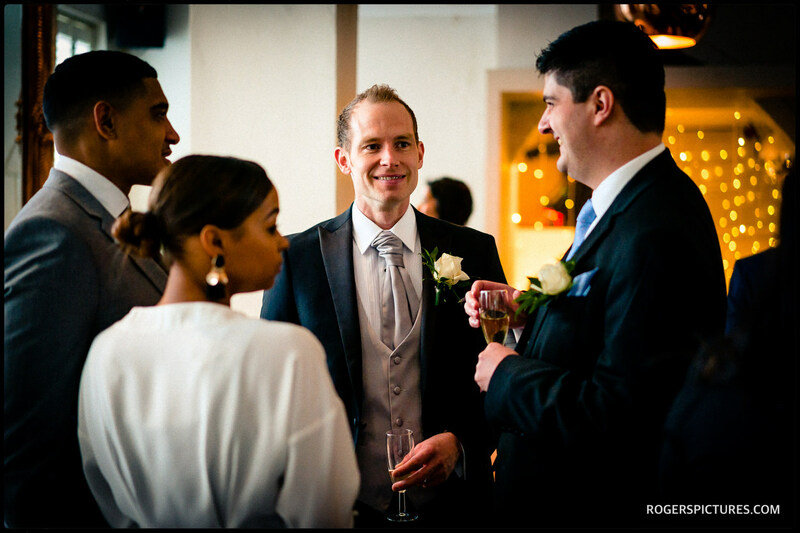 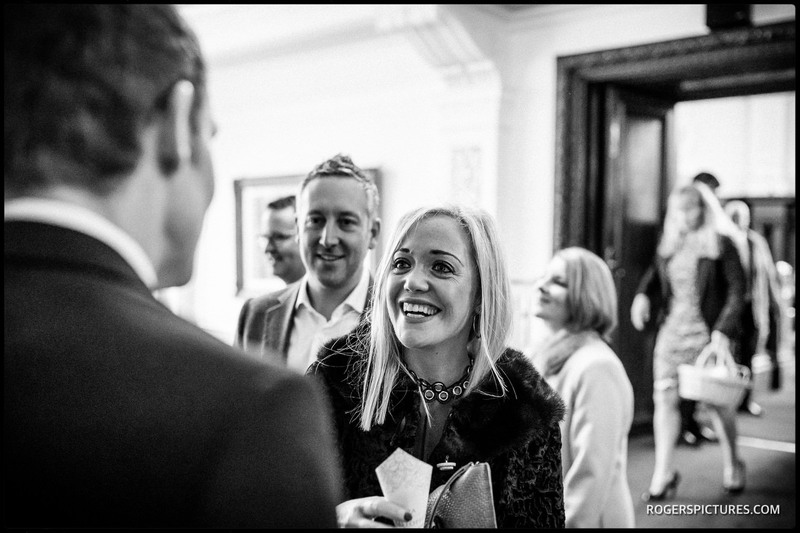 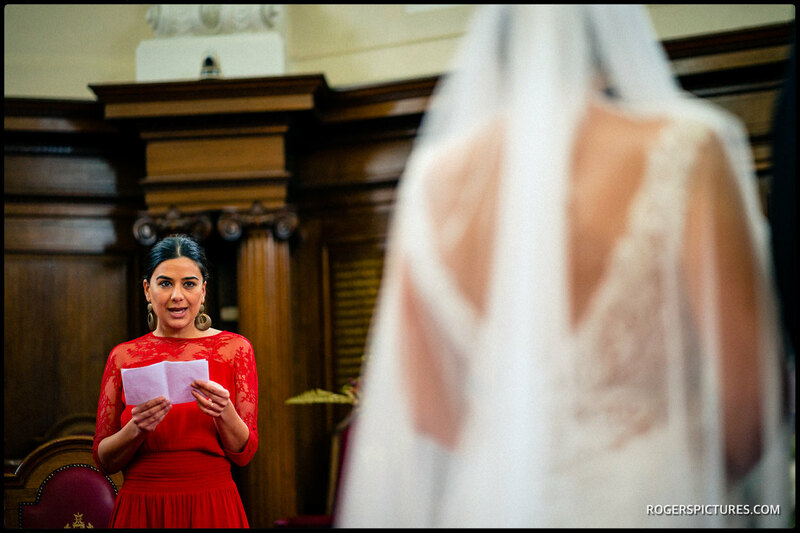 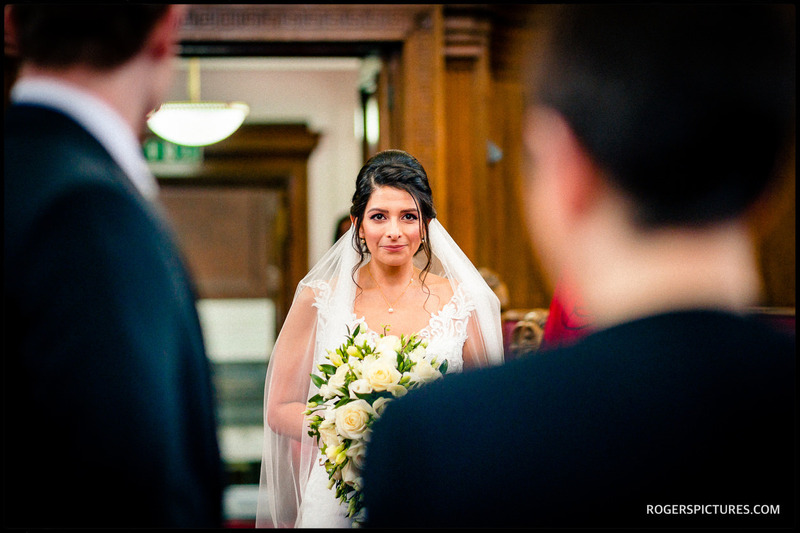 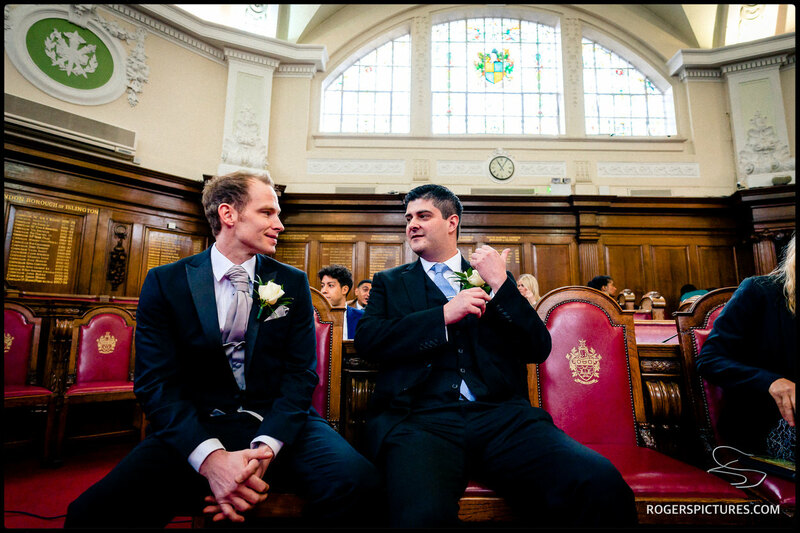 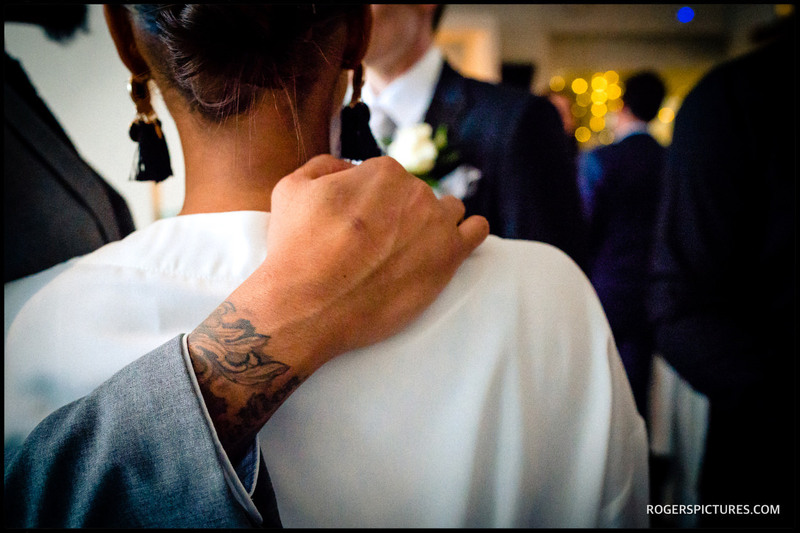 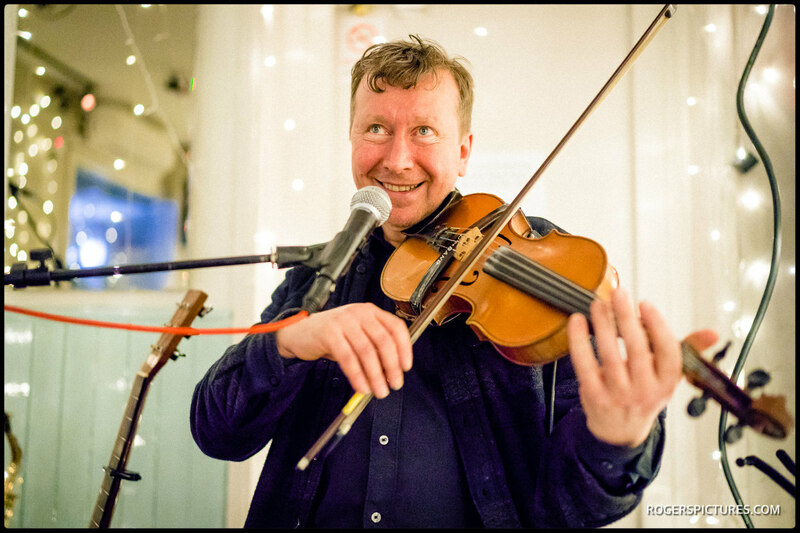 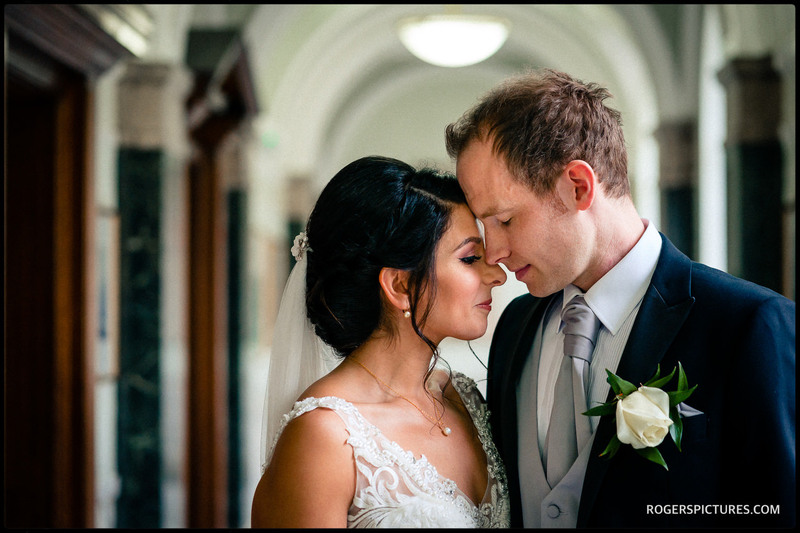 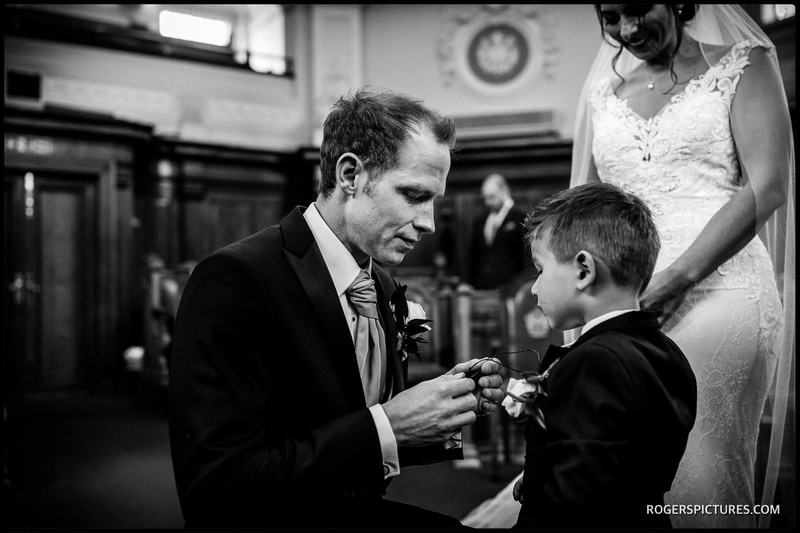 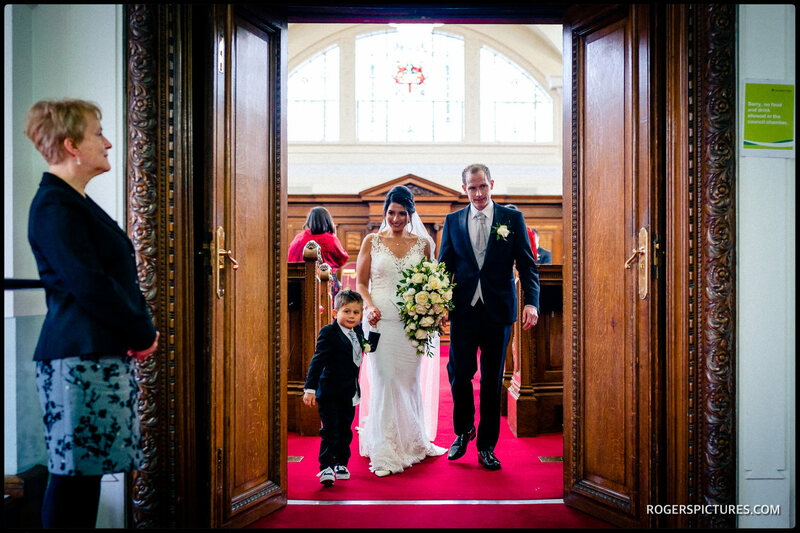 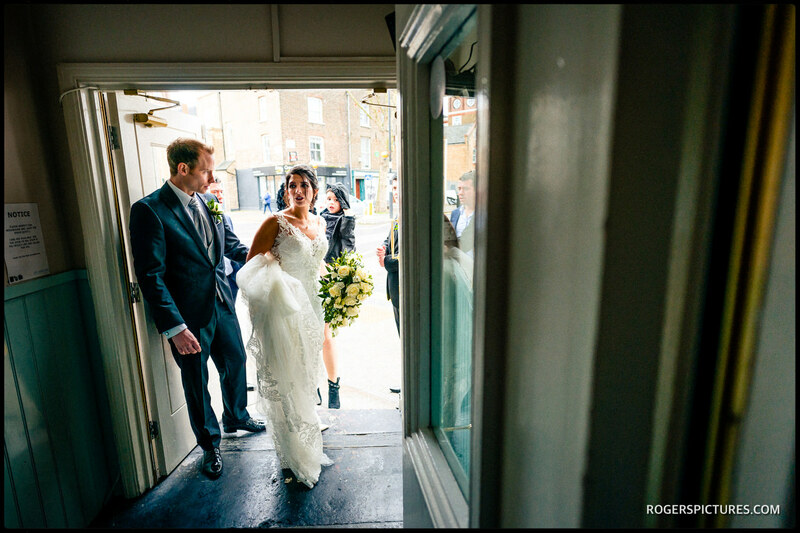 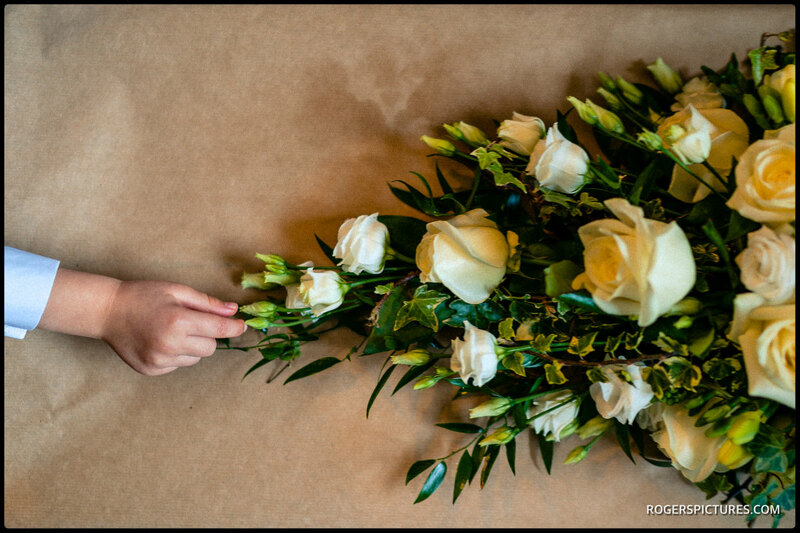 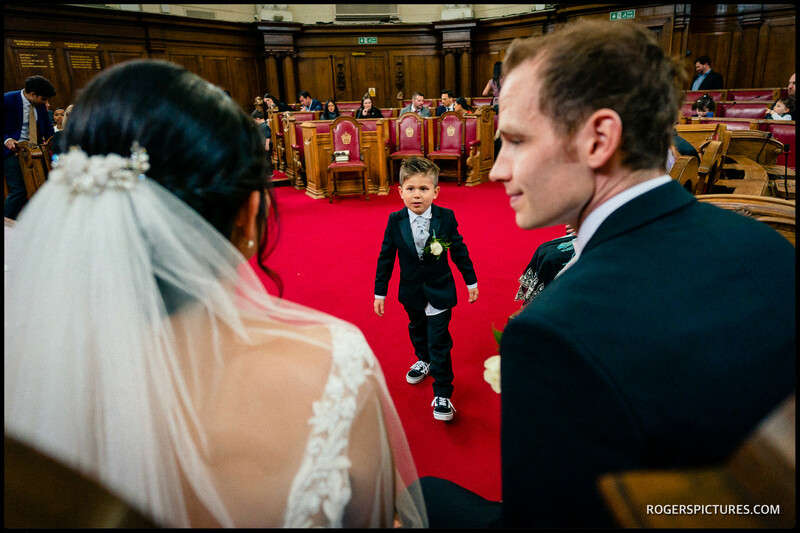 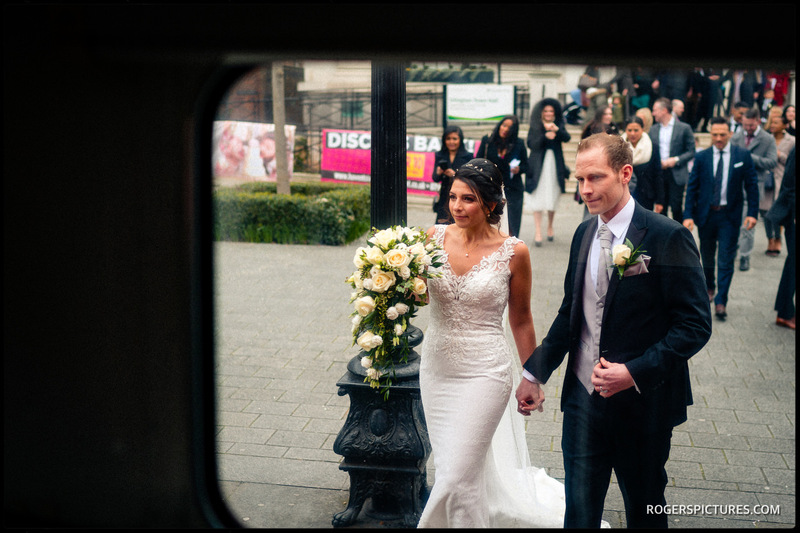 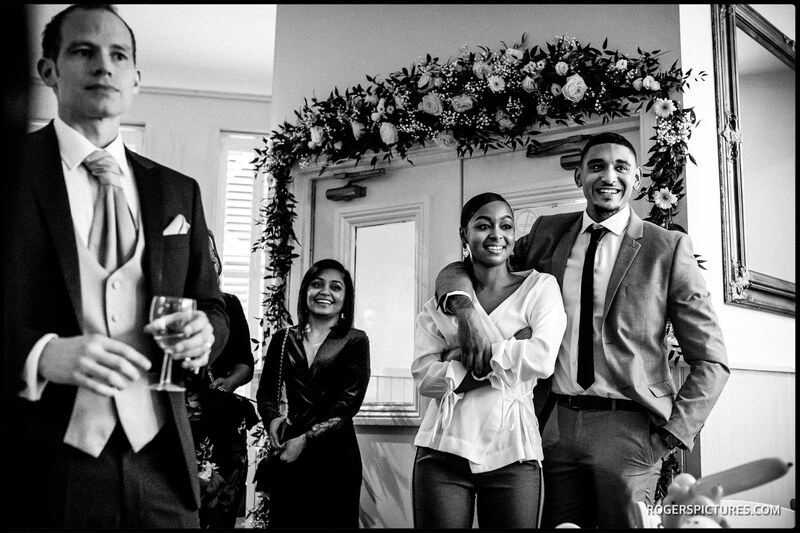 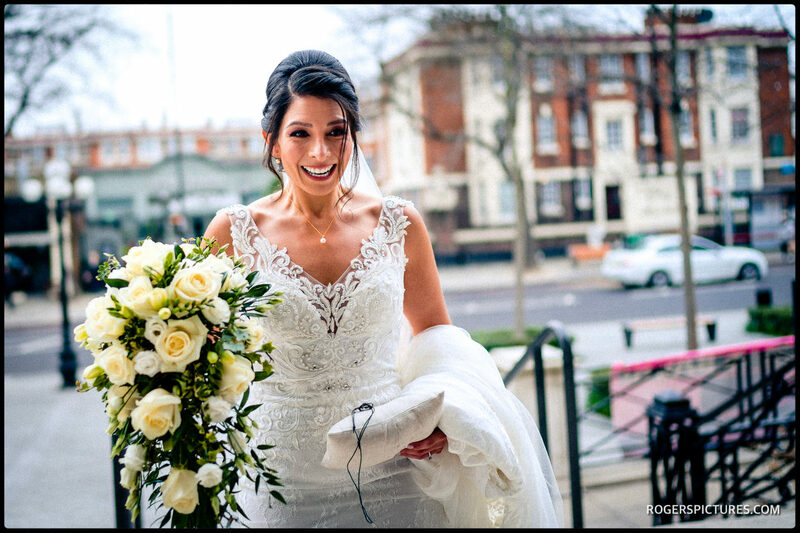 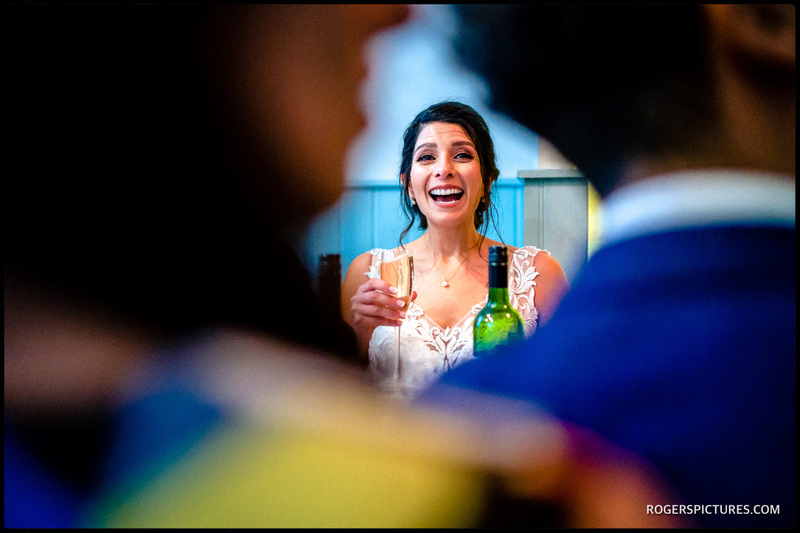 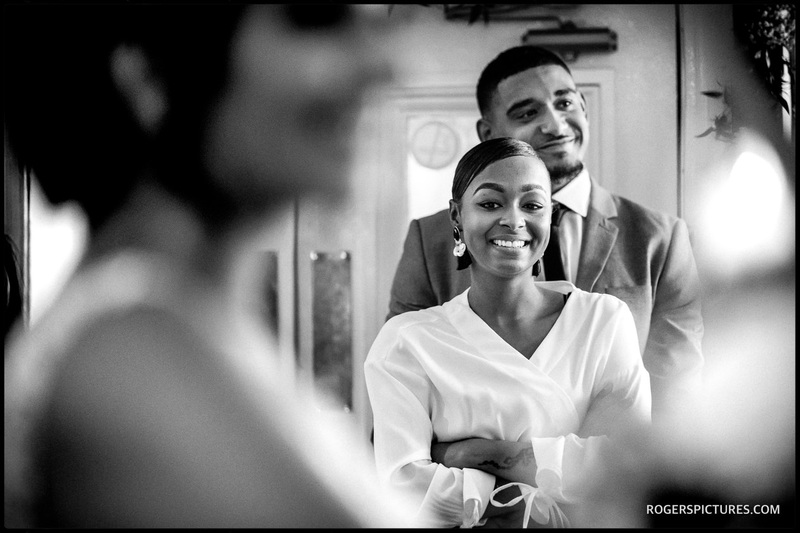 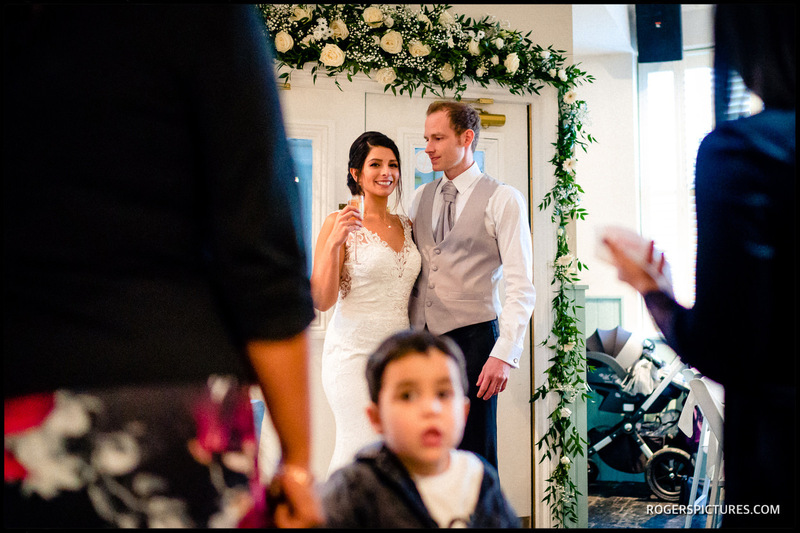 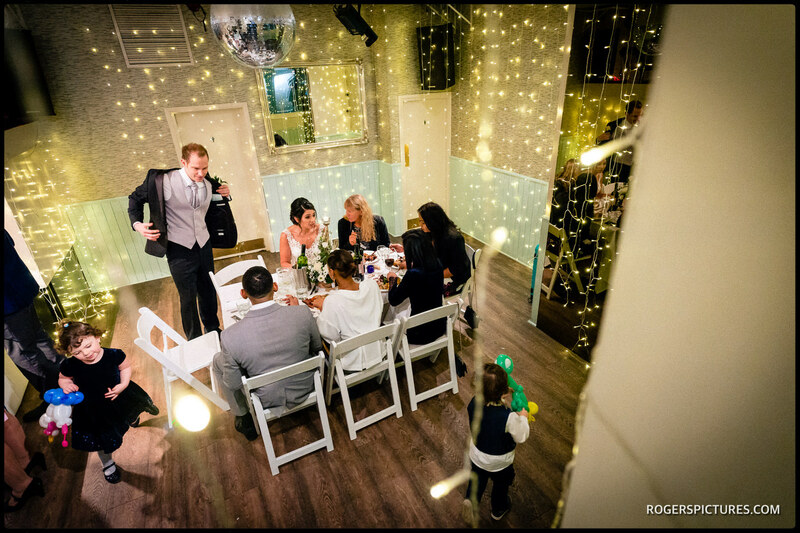 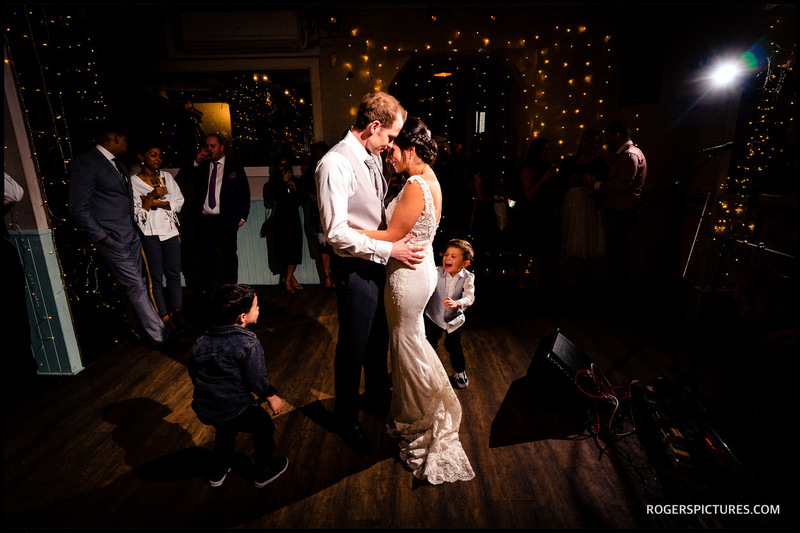 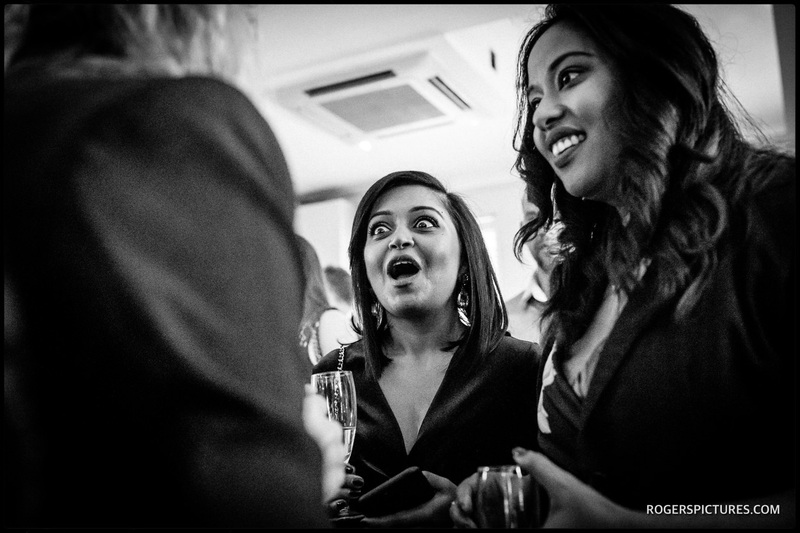 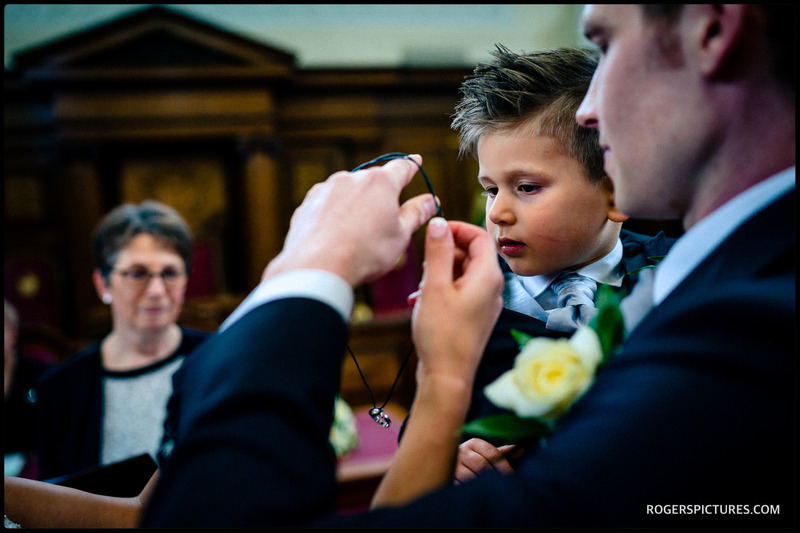 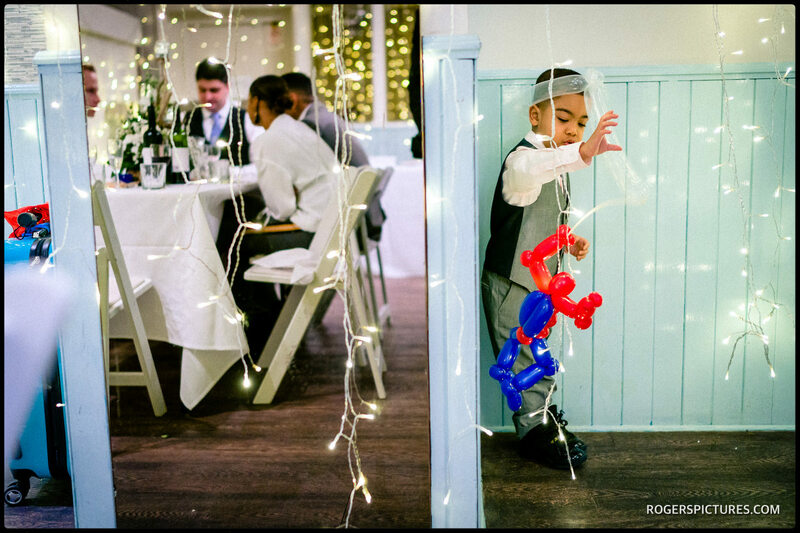 Check out some more London wedding photography, or if you’re specifically looking at Town Halls, here’s some more Islington Town Hall wedding photography. 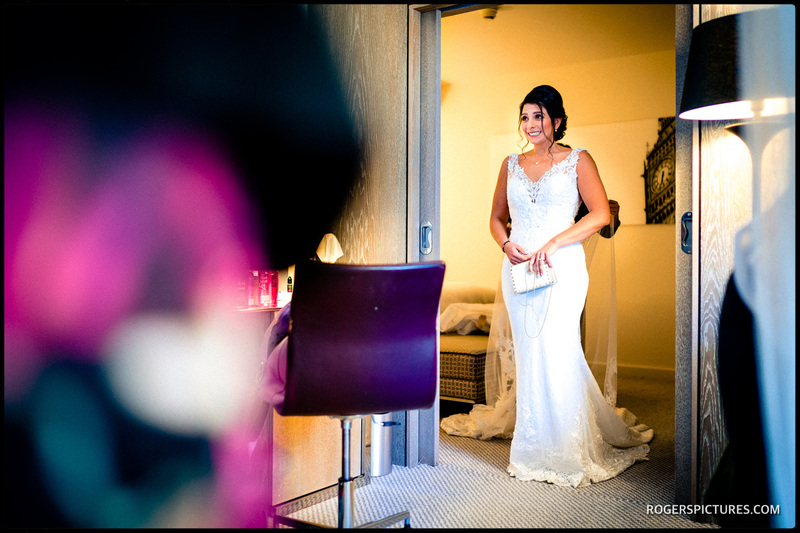 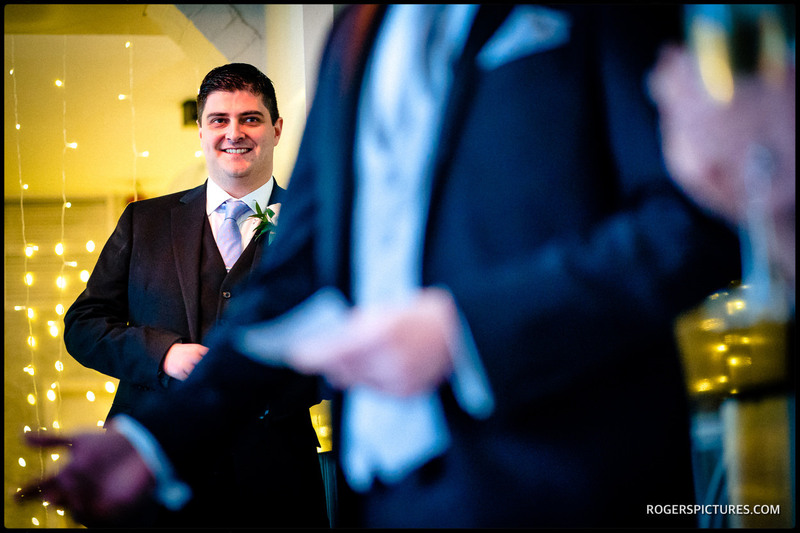 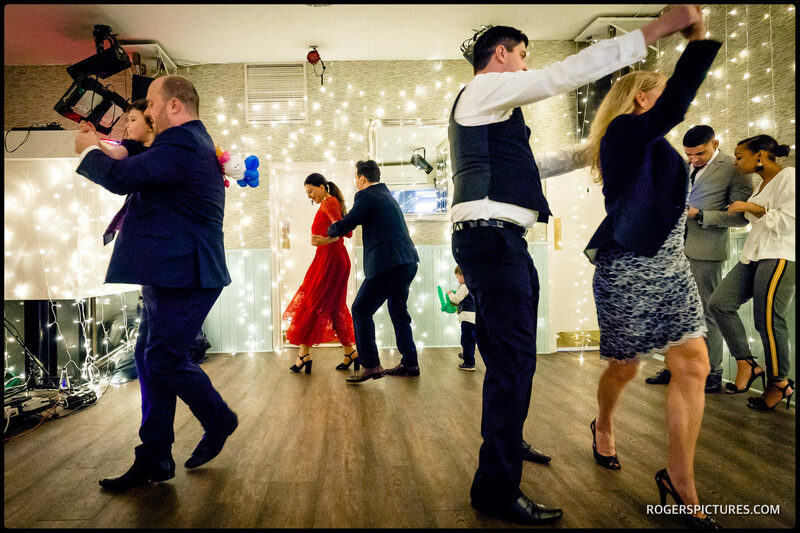 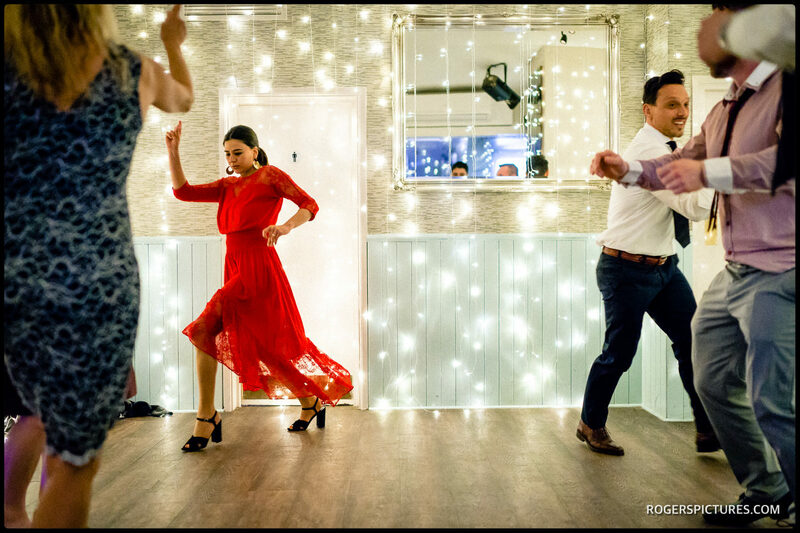 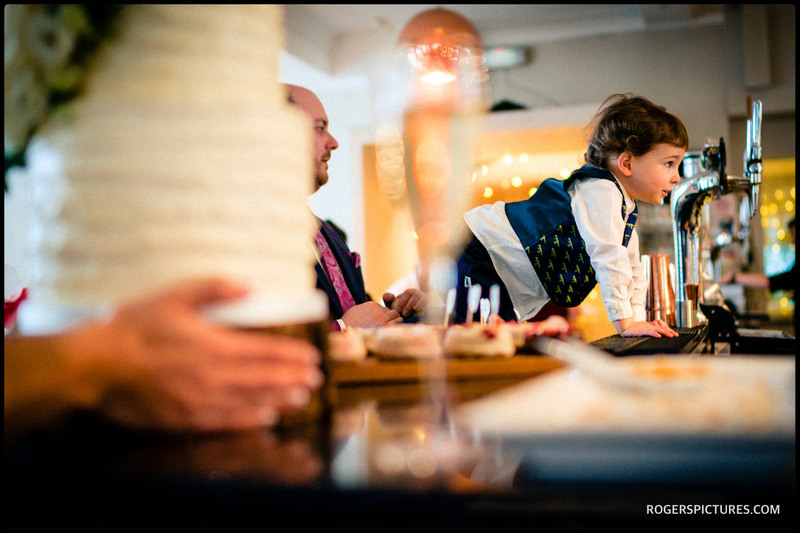 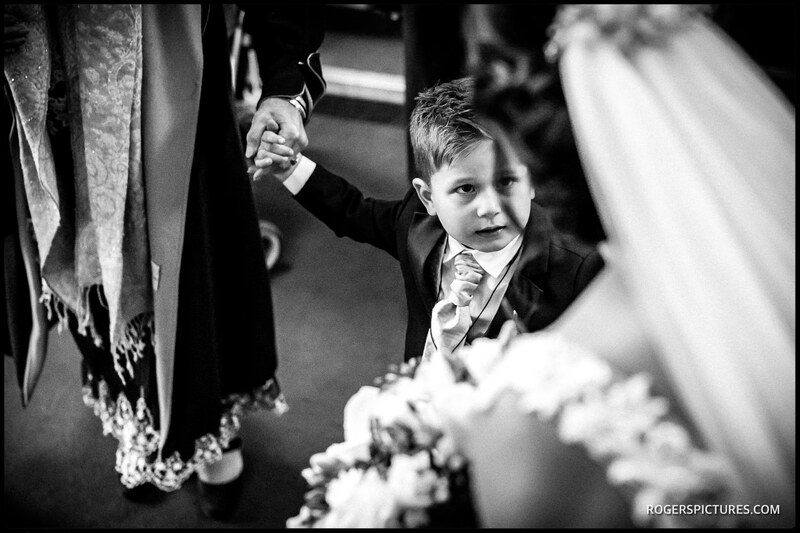 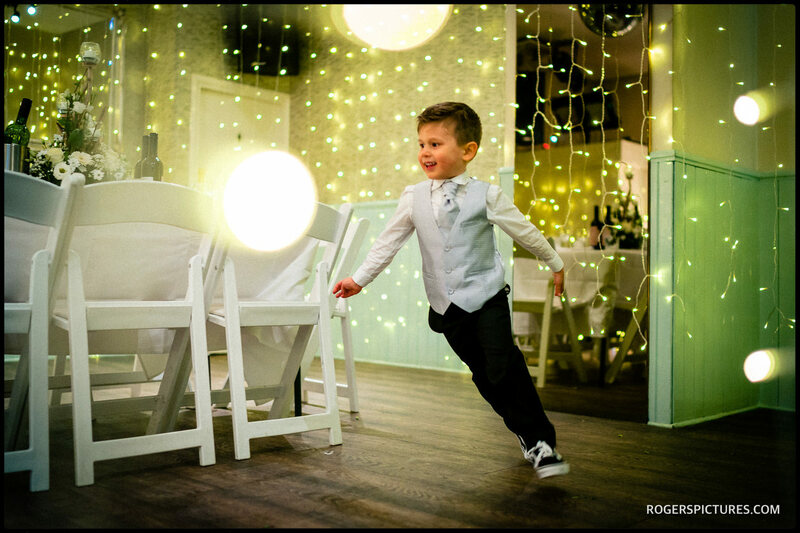 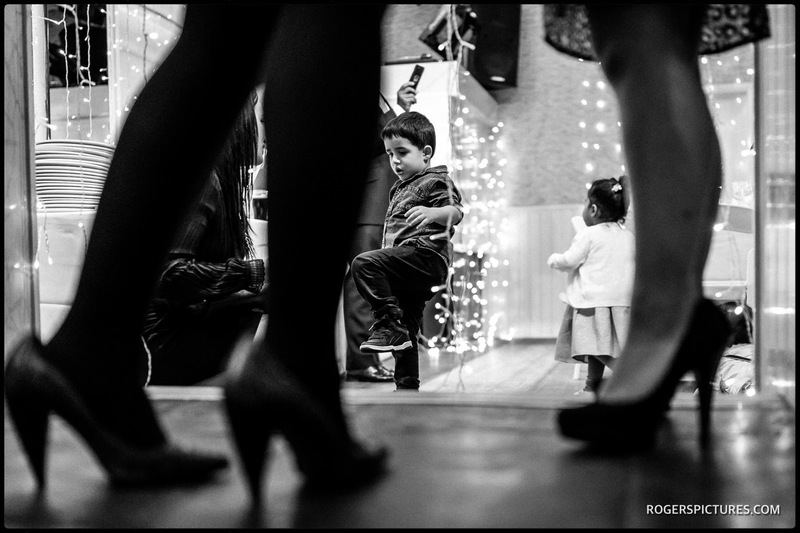 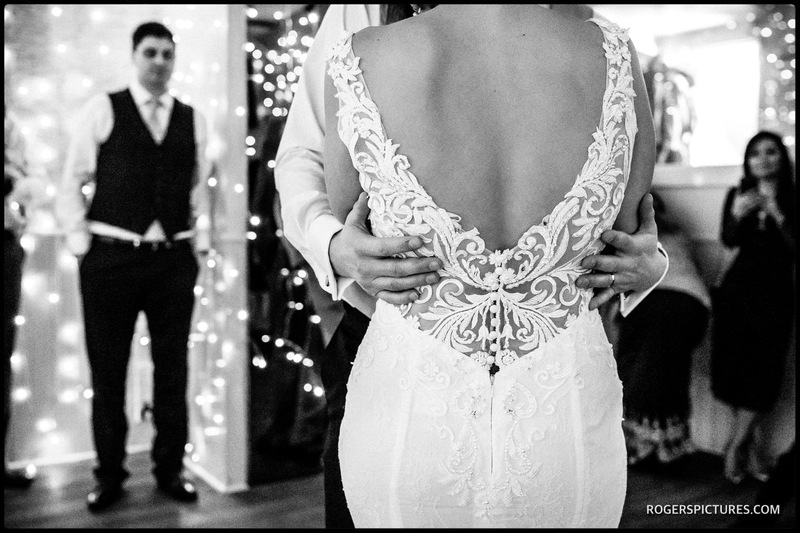 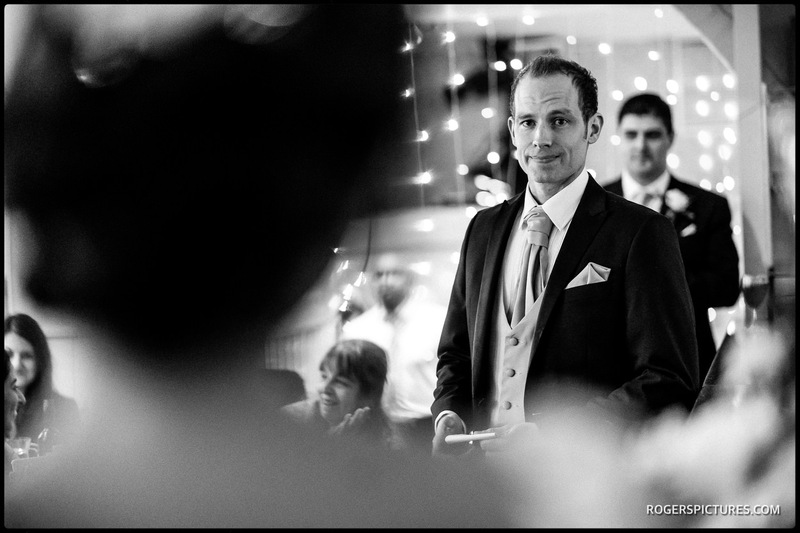 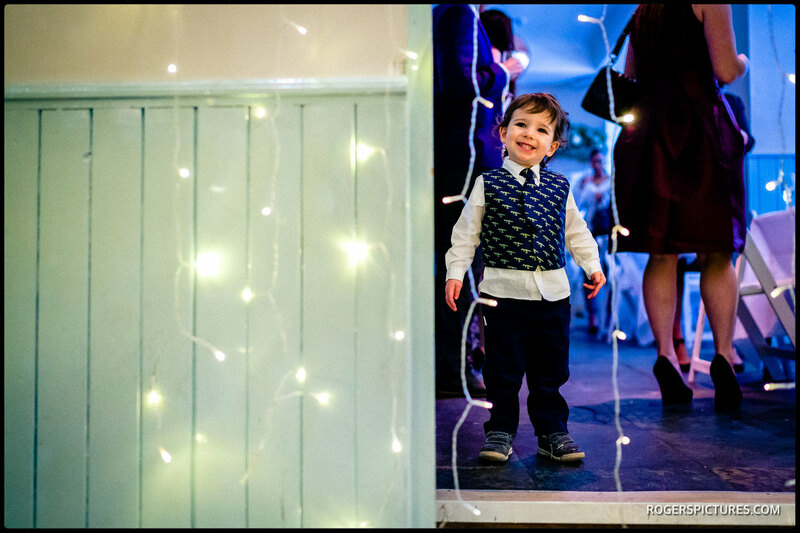 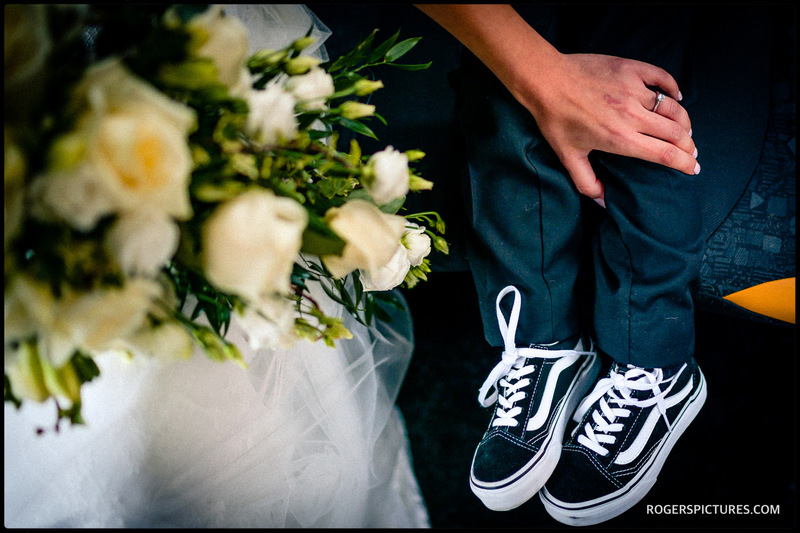 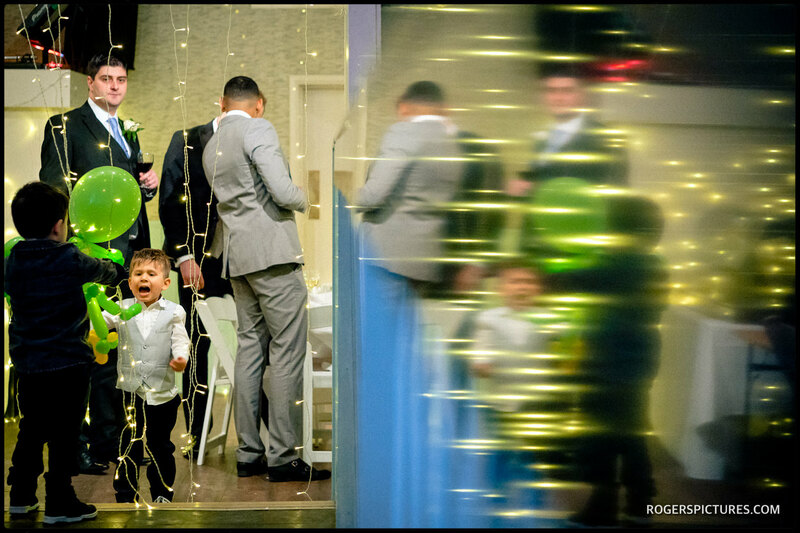 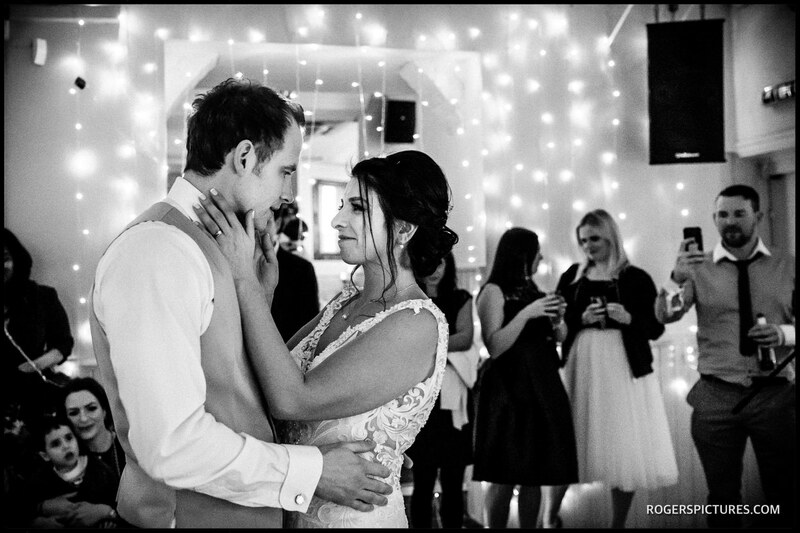 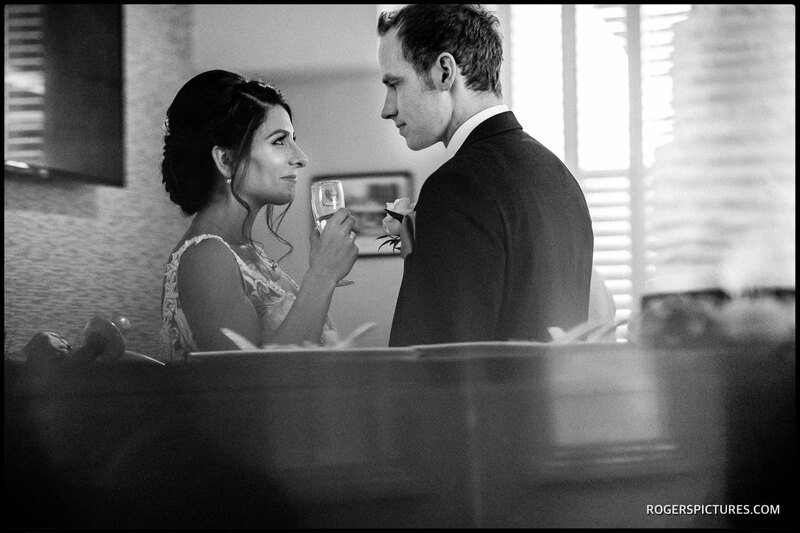 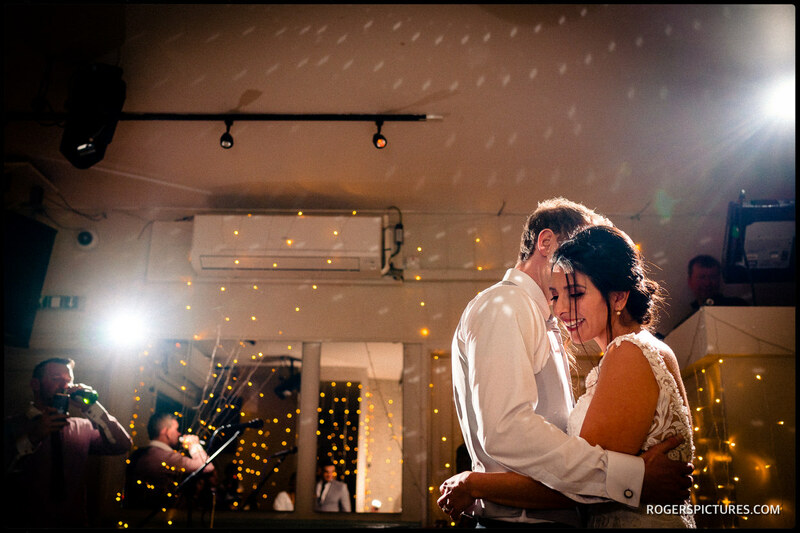 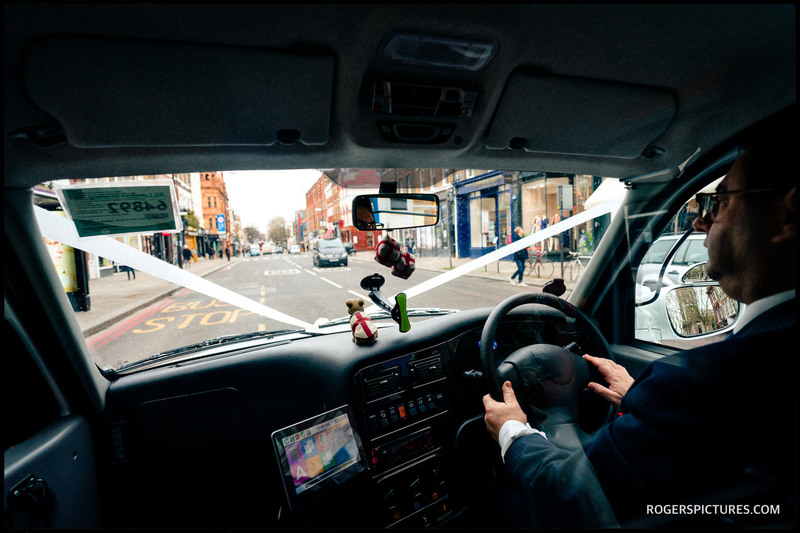 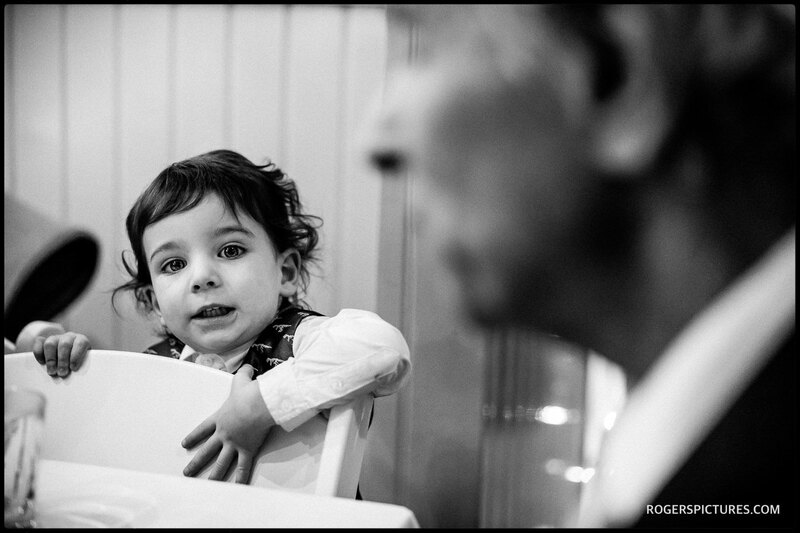 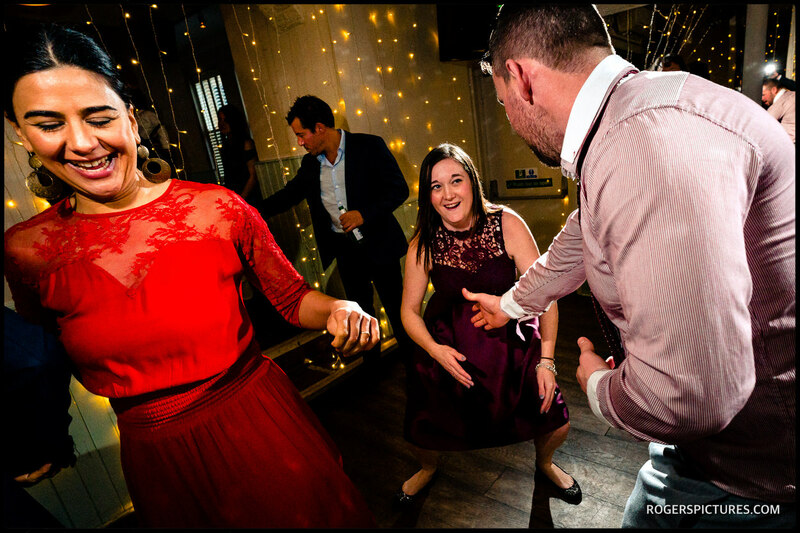 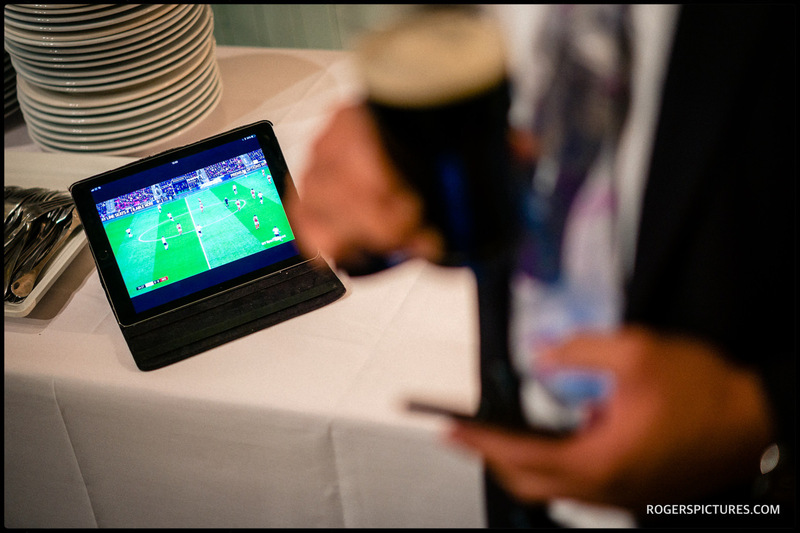 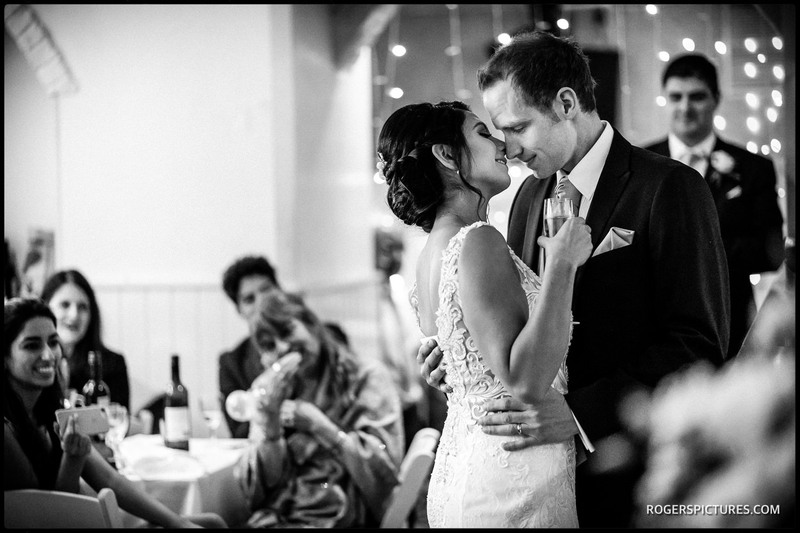 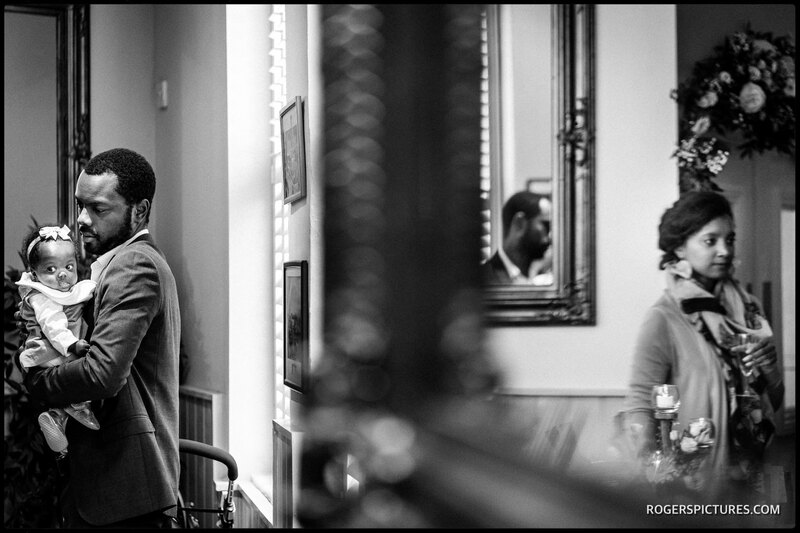 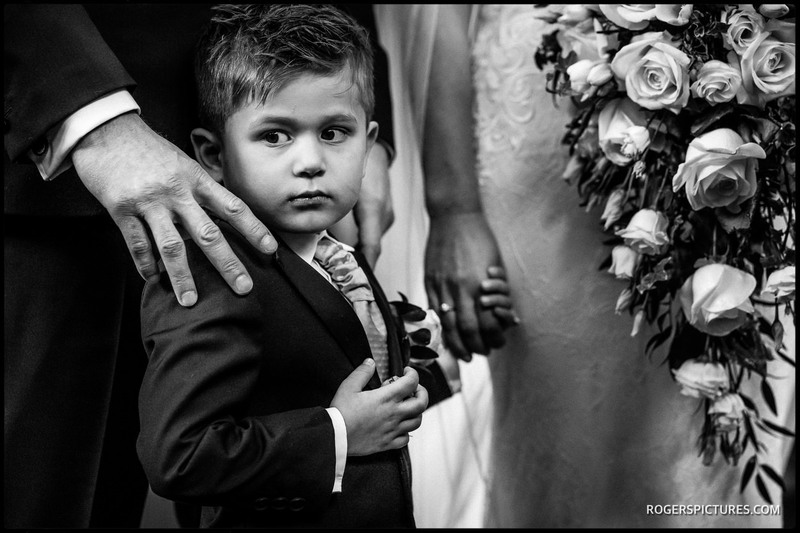 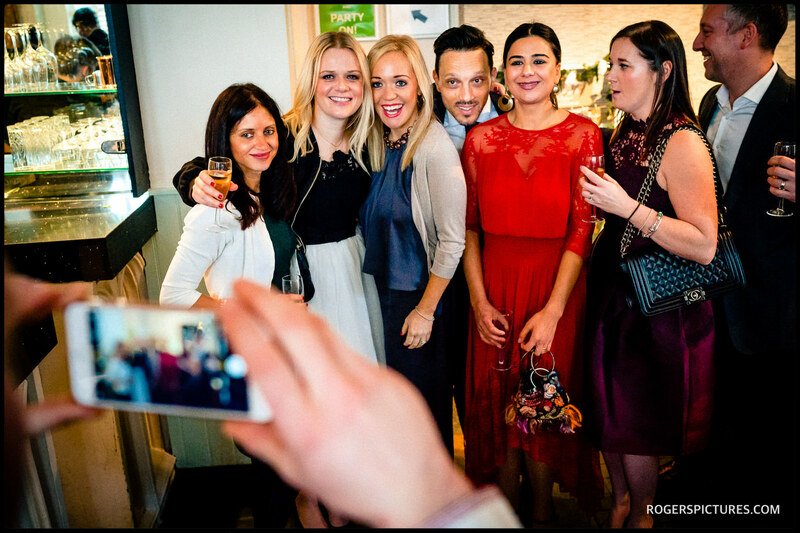 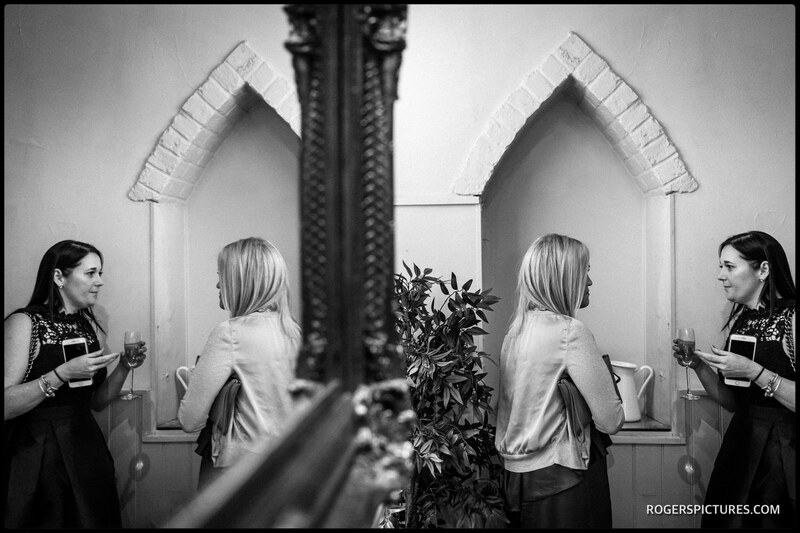 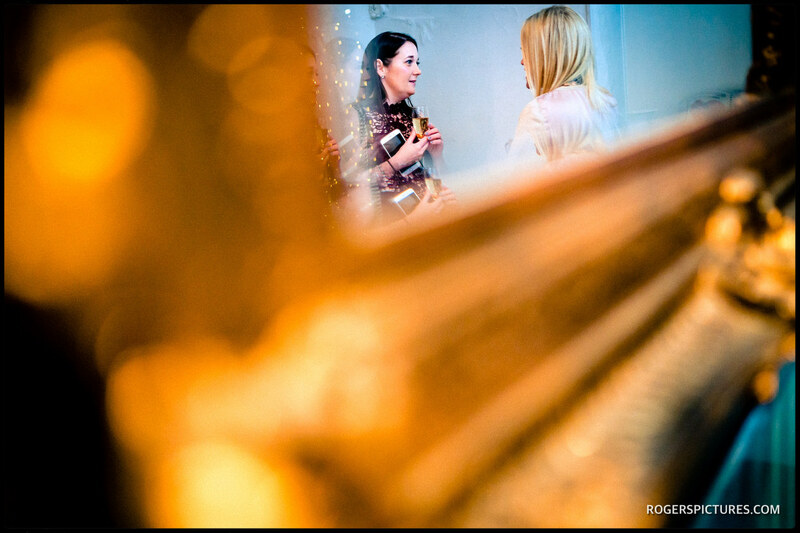 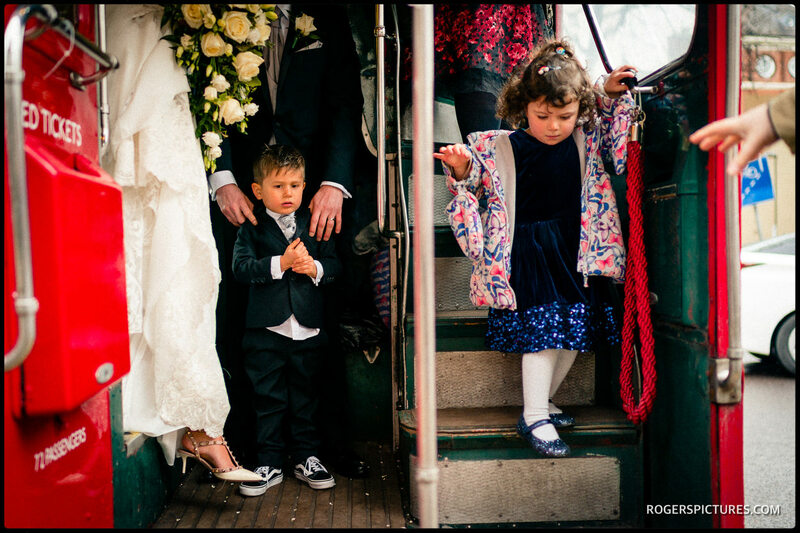 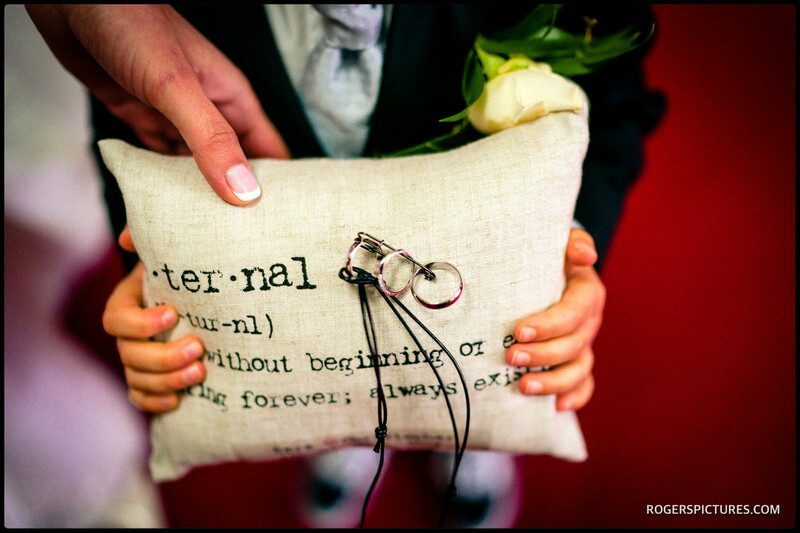 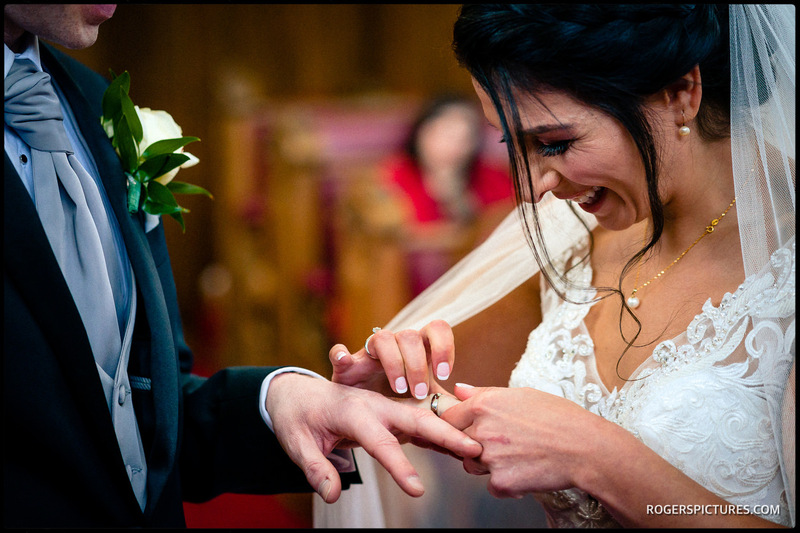 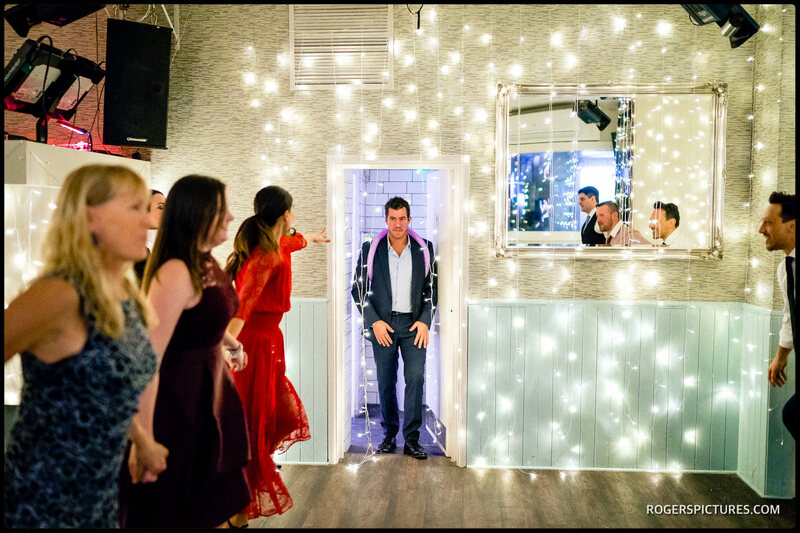 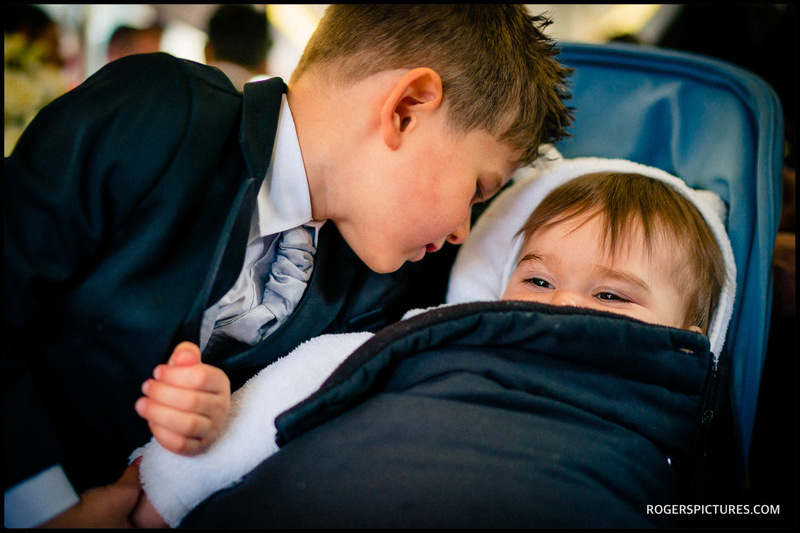 Please get in touch if you’re planning your day and love this style of documentary wedding photography. 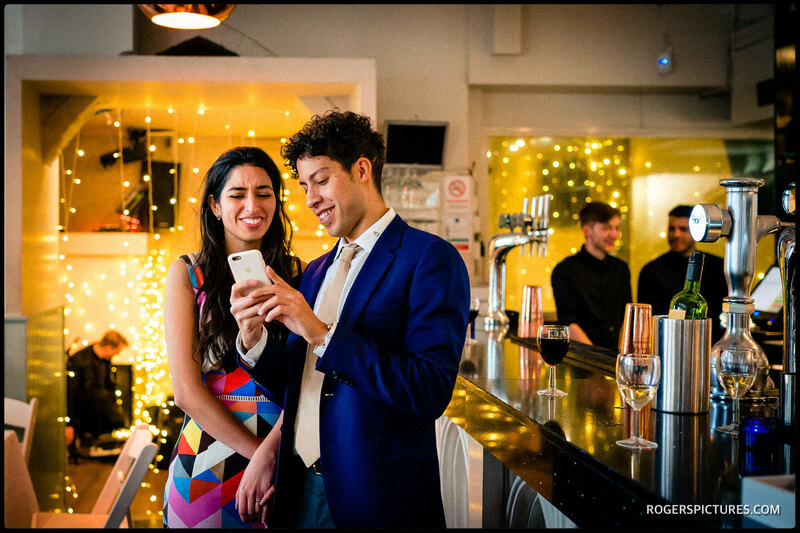 Any other suppliers not mentioned here?